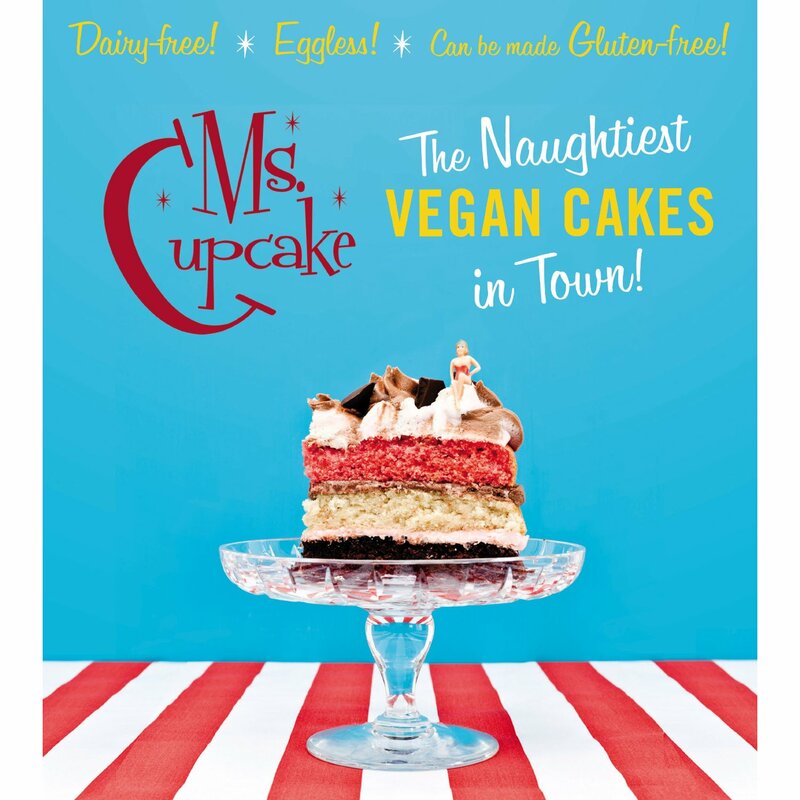 Divided by country, this special feature shines a spotlight on over 100 vegan-owned~vegan businesses, worldwide. Hopefully this post will inspire more vegan businesses to open thereby making vegan living more accessible to the public. 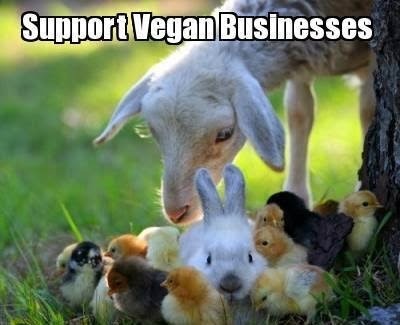 A show of support for the following vegan business owners. www.ethicology.com.au/ – Facebook: www.facebook.com/Ethicology – Ethicology – “My partner Phil Jones and I own Ethicology; a vegan business selling online and at local markets. We stock vegan groceries, vegan cleaning products, vegan skin care products, vegan footwear/thongs, vegan pet food, vegan personal care products. 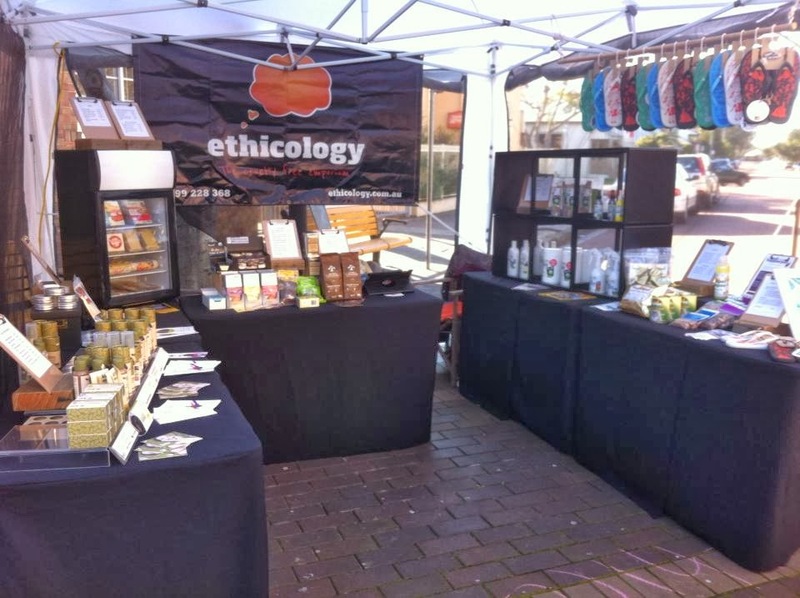 Launched in 2012, Ethicology is the first and only vegan business in Newcastle and the Hunter Valley, NSW, Australia. Our “Why”: to inspire people to think differently, spend wisely and make ethical choices. Our products are Vegan, not tested on animals, Palm-Oil free, and Fair-trade. ~ Owners: Natalie Eiser, otherwise known as “The Unlikeliest Vegan in the Village”, met Phil in 2011, and was introduced to veganism as the logical and morally consistent decision for anyone who believes in non-violence and the right of animals to live their lives without being treated as property. Nat loves discovering new products that are good for the planet, good for the animals and good for us. Phil had an epiphany in his mid-twenties when, seeing cattle in a holding pen before the killing floor, he recognized the fear and awareness in these unfortunate animals. In his mid-forties, all the pieces fell into place and he went vegan. www.nutritionalempire.com.au – Nutritional Empire – is a website highlighting that a plant-based diet is ethical, nutritious and always delicious. Nutritional Empire brings nutritional and lifestyle information to the public, showcasing vegan foods, vegan business-owner interviews, vegan events and news on the latest research demonstrating why a plant-based diet is beneficial for all. Silva is a long-time vegetarian and now vegan since 2010. 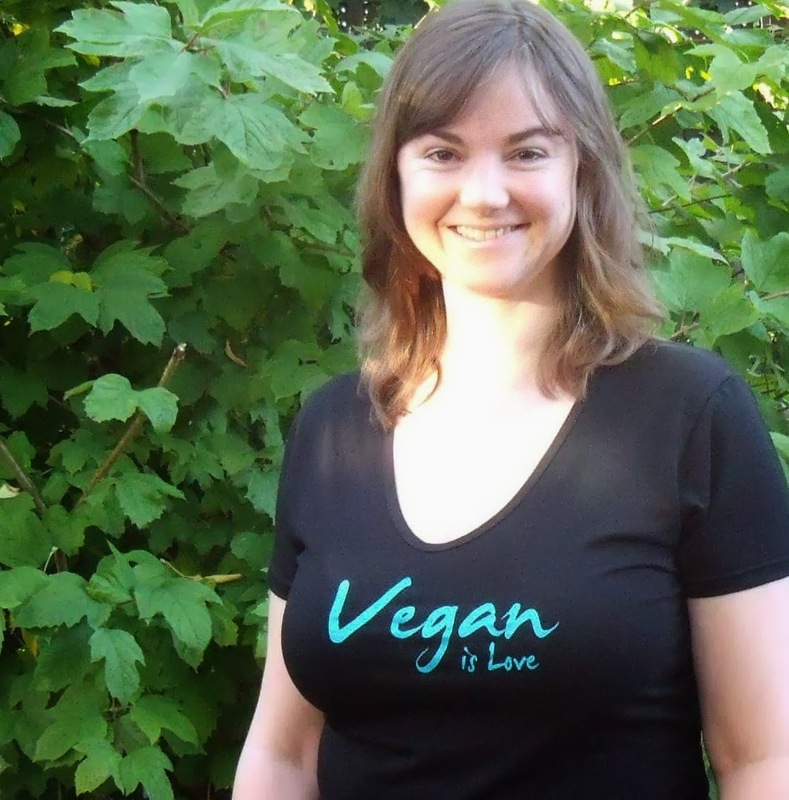 “I am passionate about nutrition and compassionate living. My purpose is to educate people so that we can all be healthy, happy and feel good about ourselves, while making mindful choices.” In 2012, I published my first book – Handbook for the Aussie Vegan. It is designed for those new to veganism, or seeking to lead a more compassionate lifestyle. The book is available in paperback through our website and also as an e-book. www.evolotuspr.com – Public Relations Agency – Evolotus provides PR and media support for nonprofits, documentary films, animal advocacy campaigns, books, health/wellness and vegan products. Its mission is to help like-minded organizations and businesses tell their story, gain visibility, and raise funds to carry on their work. The company was founded in 2006. 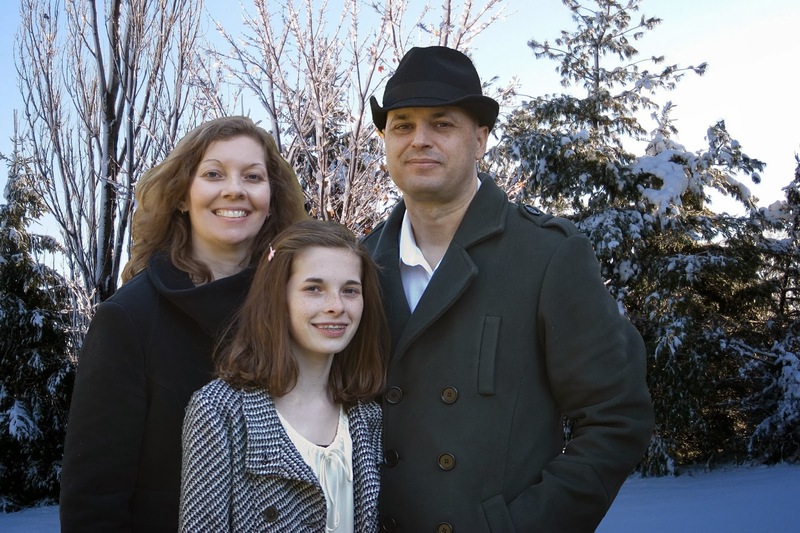 ~ Gary Smith and Kezia Jauron are co-owners of Evolotus PR. They also contribute to The Thinking Vegan, a popular blog on veganism as a social justice movement. They live in Sherman Oaks, Calif. with their cat Chloë, and Frederick and Douglass; two beagles rescued from an animal testing laboratory. ~ Generating media attention for animal issues, particularly when they are controversial, is a form of activism for us. 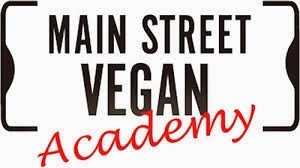 www.mainstreetvegan.net/academy – Main Street Vegan Academy is a 6-day intensive in New York City that trains and certifies Vegan Lifestyle Coach – Educators. Classes cover every aspect of vegan living — animal issues, nutrition and health, the environment, cruelty-free fashion and products, history of veganism — plus coaching techniques, marketing your business, social networking, public speaking and food demos. Instructors include cardiologist Robert Ostfeld, MD, Marty Davey, RD, Jasmin Singer and Mariann Sullivan, JD, Fran Costigan (Vegan Chocolate), Joshua Katcher, Michael Parrish Dudell (Shark Tank Jumpstart Your Business), and Academy founder Victoria Moran. In addition, there are fabulous field trips to NYC’s vegan hot spots (MooShoes, Vaute Couture, HighVibe, et al) and terrific restaurants, all inspiring unique business and outreach ideas, and adding to the program’s reputation as a life-changing adventure. ~ Victoria Moran is a vegan of 30 years and the author of eleven books including Main Street Vegan, praised by Bill Clinton, Michael Moore, and Russell Simmons. An inspirational speaker, two-time Oprah guest, and host of the Main Street Vegan Show and podcast, Victoria founded Main Street Vegan Academy in 2012 and has graduated Vegan Lifestyle Coach/Educators from across North America and six other countries around the world. In 2015, she’ll host the first Main Street Vegan & Health Cruise with speakers including Will Tuttle, PhD, and Michael Greger, MD. www.RepVegan.com – Sales Representatives for Vegan Companies, Products, and Services. 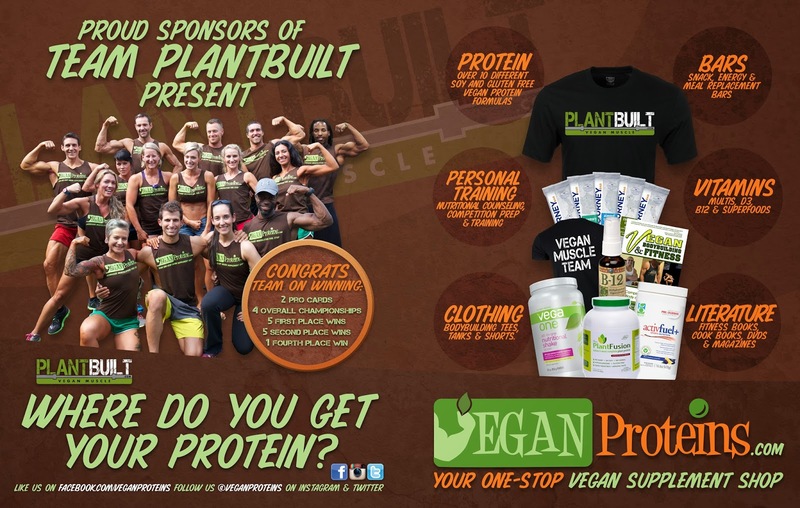 Ph (310) 963-9545 ~ Rep Vegan is an Independent Sales Representative Firm that represents vegan and vegan-friendly companies. 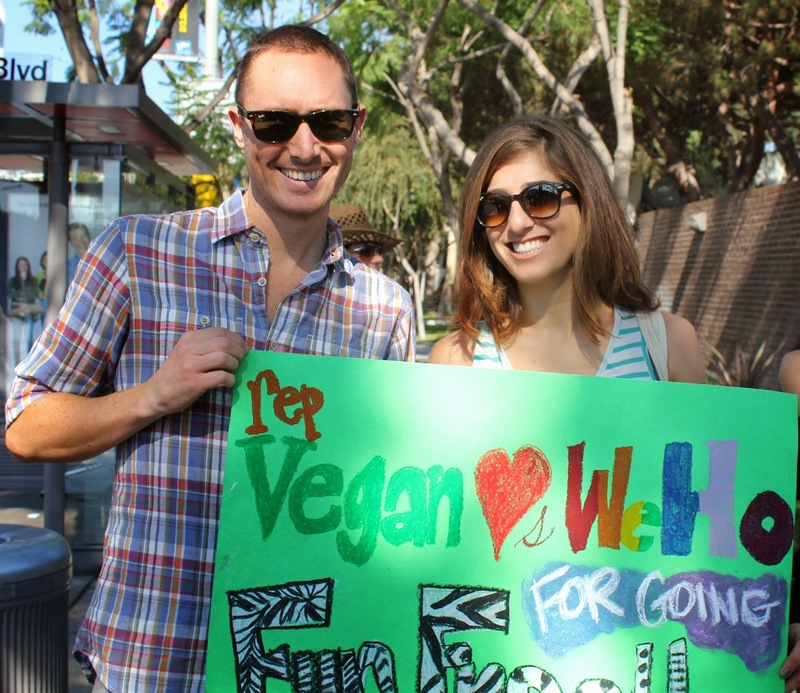 Rep Vegan is based out of Los Angeles, California. We place products on shelves and maintain relationships between accounts. We provide marketing, branding, and social media consulting services. Rep Vegan’s passion is to make living a vegan lifestyle accessible and practical for all. There are a significant number of individuals and businesses creating sustainable, cruelty-free products and services. When these business owners aren’t sure how to come to market successfully, Rep Vegan possesses the skills to make it happen. ~ Rima Danielle Jomaa moved to Los Angeles in 2008 to attend graduate school at Pepperdine University. She graduated with an M.A. in Clinical Psychology in 2010. While in graduate education, Rima worked as a behaviorist and nutritionist, and was exposed to veganism as a lifestyle as well as a way to heal the body, mind, and soul. The things Rima learned as she explored veganism further shocked her as she grew up with an aversion to animal products. As Rima continued to discover the truth, she was infuriated that she had been misled as a child and as an adolescent. After the blinders were removed, she realized her life’s passion included spreading the truth she was realizing to everyone she encountered. Rima has been active in the Animal Rights community for 2 years and has been a vegan for 4. She advocates for animals in every walk of her life. 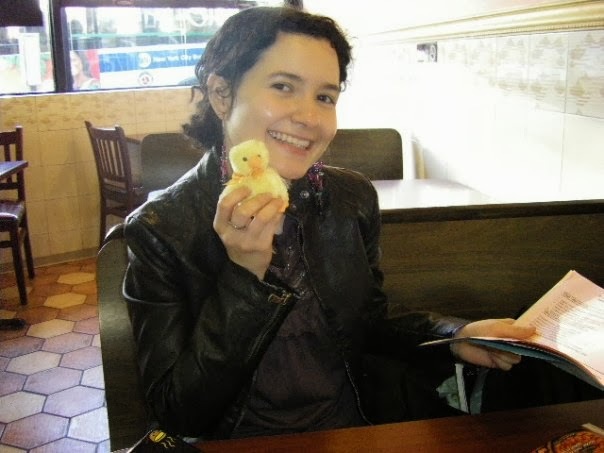 She is writing a book about the sociological and psychological shifts in society towards veganism. Pete Genender was born and raised in Los Angeles. He is the eldest of 3 brothers. He has a B.A. in Psychology from the University of Redlands. As a manufacturer’s rep, Pete gained invaluable experience in merchandising, sales training, advertising, marketing and managing a large budget. ~ Please visit youtube.com/repvegan to see our short bio videos! www.veganmainstream.com/ – Vegan Mainstream – Vegan Marketing and Entrepreneurial Consulting Agency Supporting the Vegan Professional Community and Promoting Mainstream Awareness – Vegan Mainstream provides marketing solutions to vegan businesses, as well as to those interested in incorporating more mindful practices and products into their brand. Our strategic marketing plans and services are not only fueled by our extensive experience, knowledge and expertise, but also by our passion to see conscious brands thrive. We are working hard to build a solid infrastructure of successful businesses and brands to ensure that an ethical lifestyle is accessible to everyone, everywhere. Imagine ethical retail stores, restaurants, clothing options and educational materials in every mall or community. Every step in making this a reality is a step that accelerates the vegan movement. Thus our mantra: Vegan Mainstream. 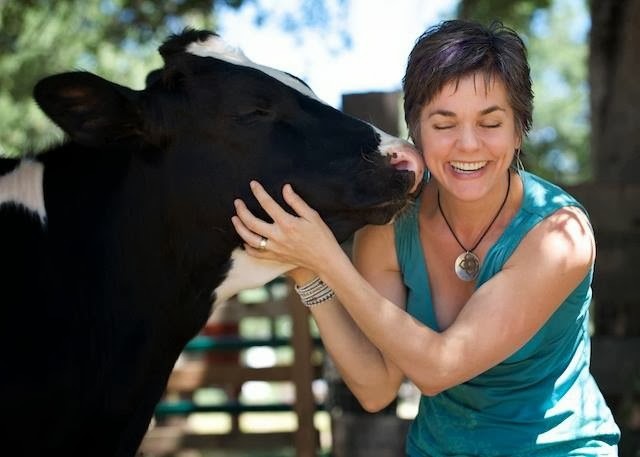 ~ Stephanie Redcross founded Vegan Mainstream, a Georgia-based marketing company, in 2009 to meld her passion for entrepreneurship with her passion for the vegan lifestyle. 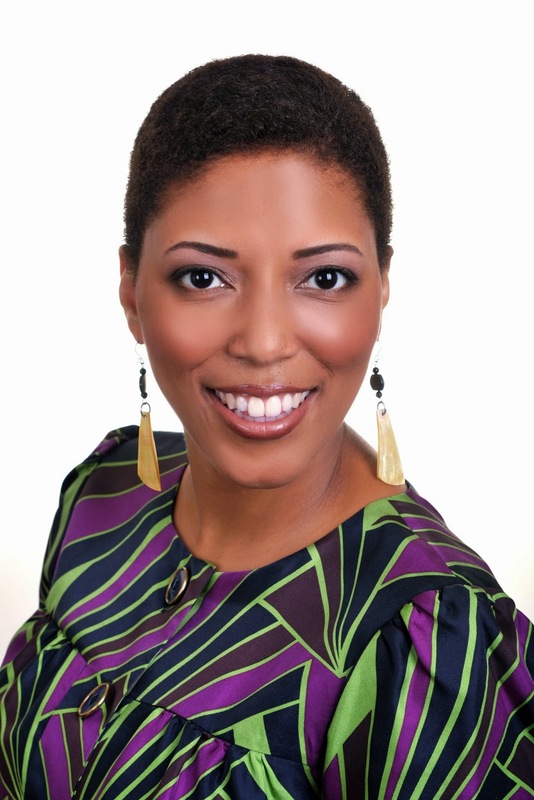 Stephanie has over a decade of marketing experience with small businesses and Fortune 500 companies. Passionate herself about living and advocating a vegan lifestyle, Stephanie has made it her life mission to help likeminded entrepreneurs, bloggers and small to mid-sized companies reach and exceed their goals. She also hopes to encourage all businesses to consider both the marketing viability and ethical importance of shifting to vegan-friendly products and services. ~ In 2013, Vegan Mainstream Co-Hosted Vegan Professional Bootcamps in Berkeley, CA, Washington, DC, New York, NY and Los Angeles, CA. The Vegan Professional Bootcamps are designed to bring vegan professionals together for a day of learning, networking, and collaboration. Our goal is to provide local business owners and aspiring entrepreneurs a venue to get solutions for current challenges and to garner inspiration for their future business goals. For each bootcamp location, we select speakers from the community. Our goal is to not only to help local businesses, but also to help individual entrepreneurs such as chefs, authors, coaches, and service providers. As the world demands more vegan options, vegan businesses need support to expand and serve a growing audience. www.veganpublishers.com – Facebook – Vegan-themed publishing company ~ Vegan Publishers was formed in 2013 with a mission to publish a range of books that promote social consciousness and awareness related to veganism. We are interested in publishing books for children and adults that focus on positive themes emphasizing respect for all living beings. We hope to spread positive messages about veganism including but not limited to food, emphasizing kindness, respect, compassion, and healthy living. 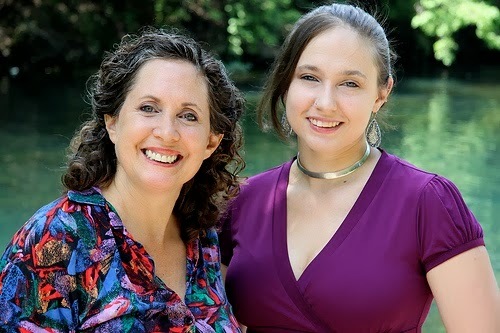 The co-founders of Vegan Publishers are Christen Mailler and Casey Taft, Ph.D. Christen is an artist with a BFA from the Tufts School of The Museum of Fine Arts. 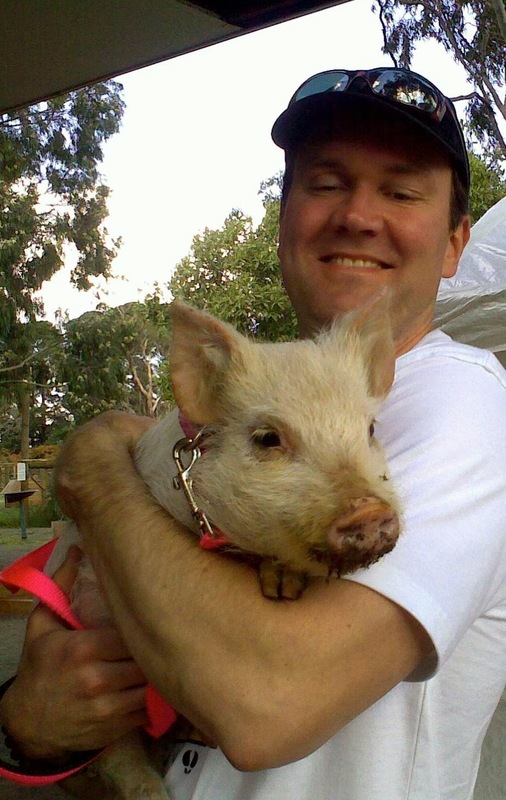 In addition to his work managing Vegan Publishers, Casey is an Associate Professor of Psychiatry at Boston University School of Medicine. He sees the prevention of violence towards animals as a natural extension of this work. 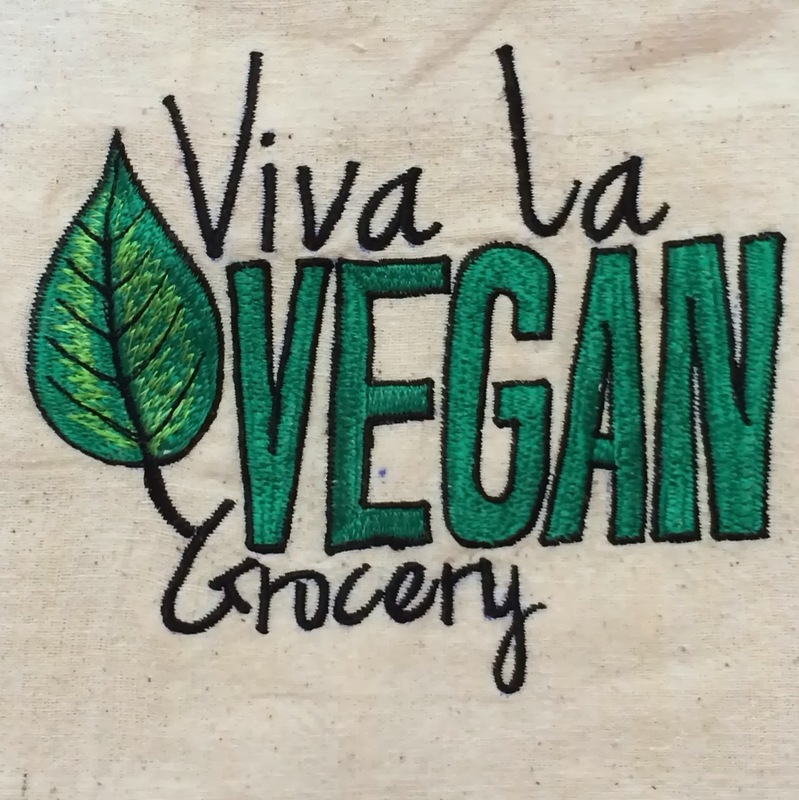 www.vivalavegangrocery.com – Viva La Vegan Grocery – offers vegan and cruelty-free items at our two Southern California locations and online. We are dedicated to promoting the Vegan lifestyle and aspire to open Viva La Vegan Grocery stores everywhere. ~ Arlo Toews and Isaak Iftikhar co-own Viva La Vegan Grocery. Both have lived as vegan’s for many years and both are compelled to support others in choosing a more compassionate, environmentally-sound and healthier path. Location: 9456 Roberds Street Rancho Cucamonga, CA. and 2723 Ocean Park Blvd, Santa Monica, CA. Please like us on Facebook to receive product information and location updates. 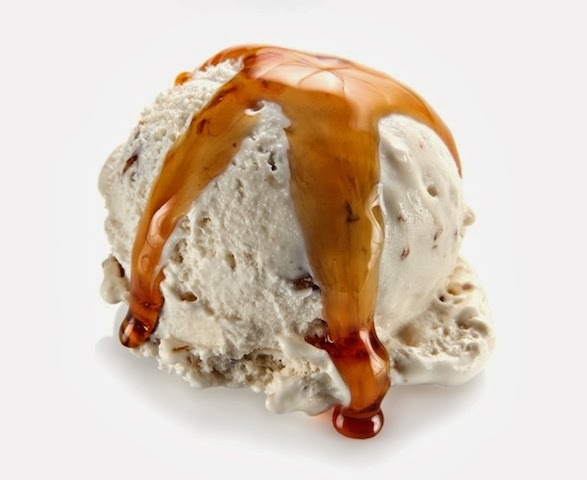 www.AllisonsGourmet.com – Allison’s Gourmet – is an online bakery and confection boutique specializing in vegan, organic, and fair-trade chocolates, cookies, brownies, toffee, caramels and more! Allison’s Gourmet is famous for award-winning vegan desserts that tantalize the tongue and satisfy the soul. They offer moist, chewy vegan cookies, gourmet gift baskets, vegan caramels and much more! All delivered right to your door. 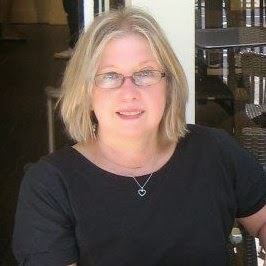 ~ Allison’s Gourmet is one of Allison Rivers Samson’s great passions. 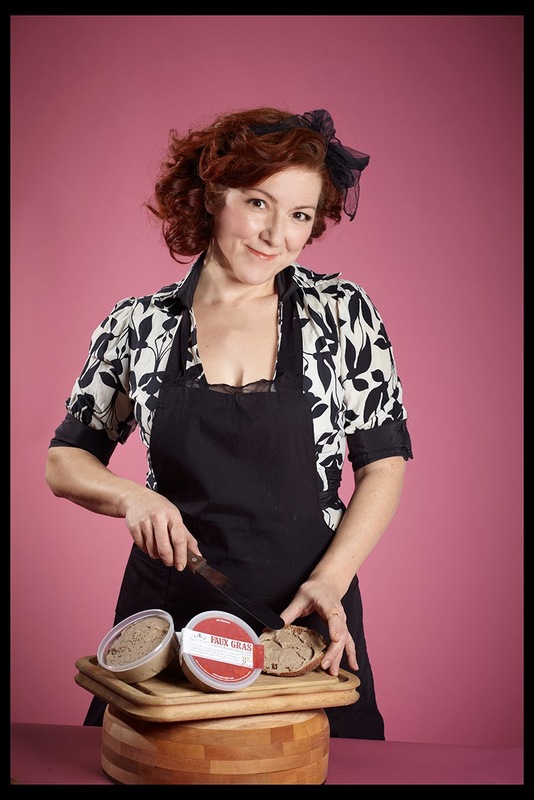 As owner and founder of the business, Allison has been concocting delicious vegan sweets since 1997, when the business began as Allison’s Cookies. Allison believes strongly in serving customers with the highest ethical standards and made with love and compassion! ~ Allison was recently awarded a Black Belt in The Nia Technique. Nia is a holistic movement form that incorporates dance + martial arts + healing arts, like yoga, set to soul-stirring music. The martial arts component offers a structure of 5 belt trainings, culminating with black. In addition to teaching Nia and creating new vegan recipes, Allison loves and embraces her most important role: being a loving mother and wife. 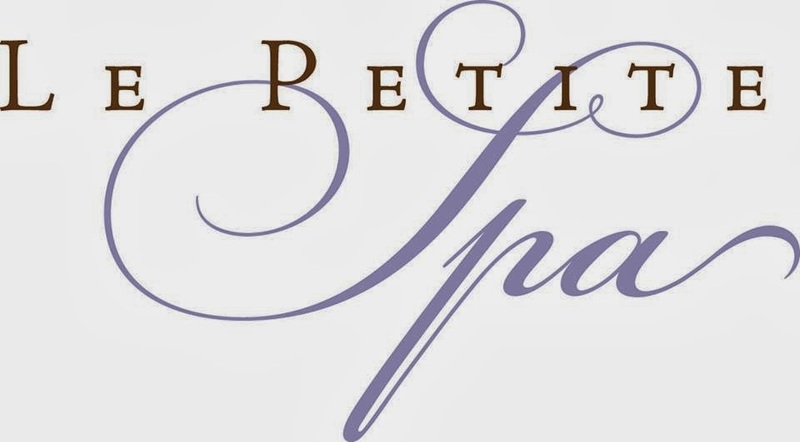 www.lepetitespany.com – Le Petite Spa – is an organic, vegan day spa located in Croton-on-Hudson, New York. We specialize in European Facials, Massage Therapy, Reflexology and Body Treatments using only certified organic and certified vegan skin and body care products. Currently, we’re featuring the Yum Gourmet Skincare line from Vancouver, British Columbia, and the EvaOlivia organic body care line from the Hudson Valley, NY. (They are plant-derived, organic and they don’t test on animals.) We offer a holistic approach to all of our spa treatments, using aromatherapy and meditation, for a complete mind/body relaxation experience. 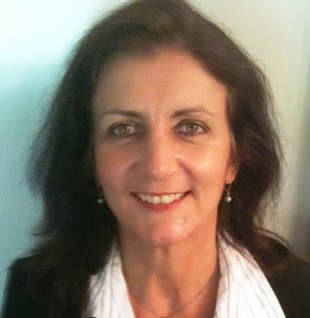 ~ Owner Mary T. Prenon is a New York State licensed esthetician and Certified Reflexologist. She opened Le Petite Spa in 2009. Her intention in opening her own boutique spa was to offer an alternative to what other day spas are currently offering — a complete organic and vegan skincare and body care line. www.grapecat.com – Retail Fashion – In Bucks County, Pa., a local vegan couple is going worldwide to help like-minded people live their values, with a new online store. The store is operated by James and Christine Lucas of Pipersville, Pennsylvania. “Our customers are individuals who understand that the current mass-market production of clothing is not sustainable, and for those people who want to make sure they’re not buying into companies that exploit animals for profit,” James Lucas says. ~ A family trip to an animal rescue organization in 2008 helped Christine change her perspective on animals and food, opening her up to a vegan lifestyle. After that life-changing trip, James and Christine founded the Bucks County Vegan Supper Club and later, they helped found the website fromatovegan.com as a way to help inspire and motivate other people interested in adopting a plant-based lifestyle. Their new venture, Grape Cat, was started “to create a new kind of company that is good for customers, employees, the environment, and animals,” says James Lucas. James is a graphic designer by trade. 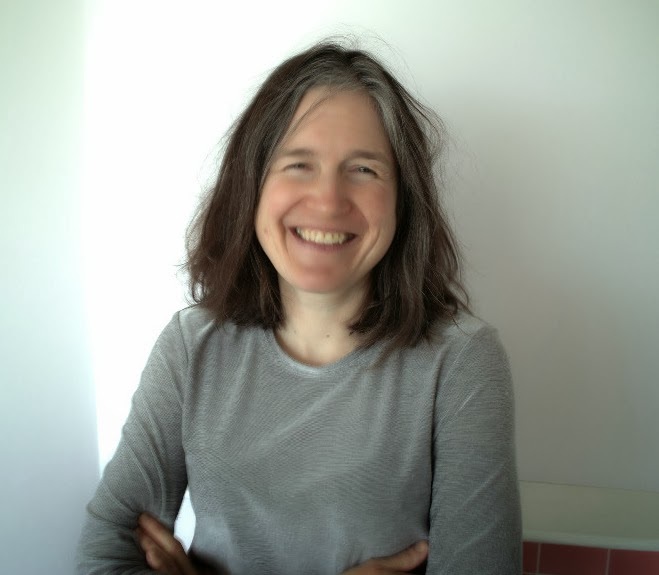 Christine has been in the bookselling and publishing industries for nearly 20 years. She has been interested in decreasing her ecological footprint on the planet for years and believes Grape Cat helps to spread that message. www.CompassionCo.com – Clothing business. We offer organic, U.S.A. made vegan apparel that makes it easy to promote veganism everywhere you go. 5% of each sale is donated to a non-profit organization promoting animal rights. ~ Business owner bio: Andy Tabar has been a vegan of over 6 years and spent much of his youth touring in and tour managing bands. He turned his love of band merchandise and graphic t shirts into a way to promote vegan living and animal rights. www.thehouseofv.net/THOV/ – House of V – Vegan Bakery, Vegan treats Cupcakes, cakes, 100% organic, plant based strict vegan. 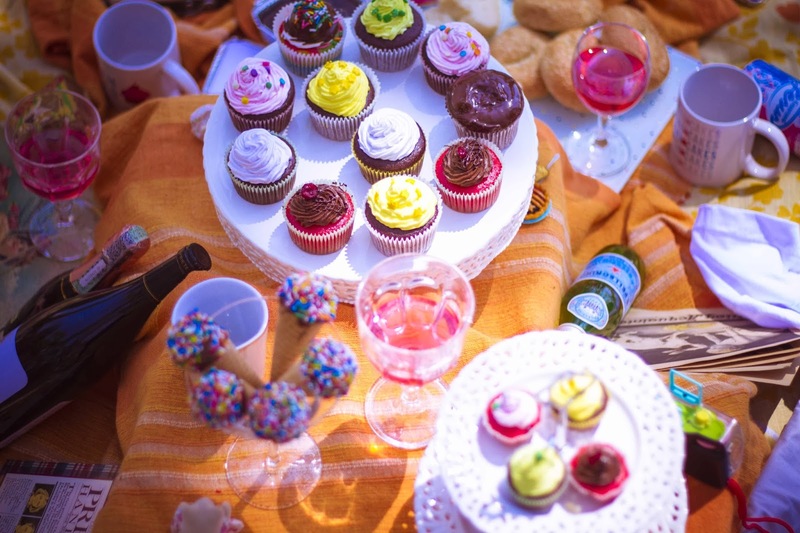 The House of V was born in 2011 in Miami Florida, and it opened on 2012, is an organic home- based bakery that specialized in gourmet cupcakes and cakes. 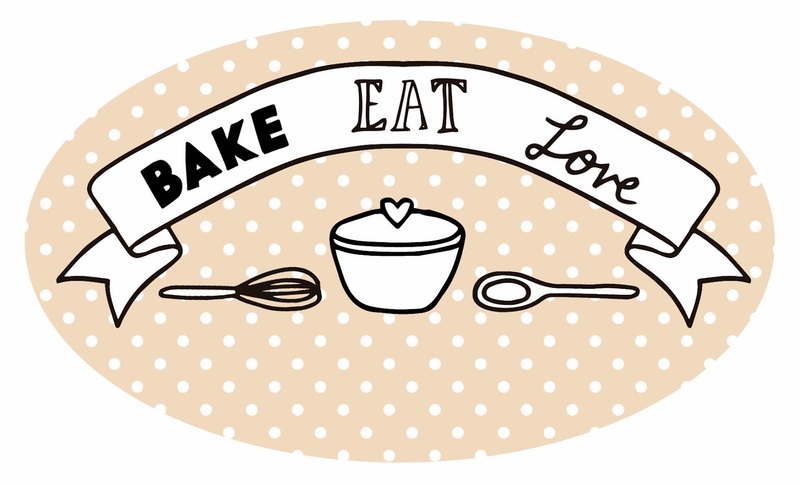 It is not your ordinary bakery as all treats are made from scratch in small batches with high quality ingredients. 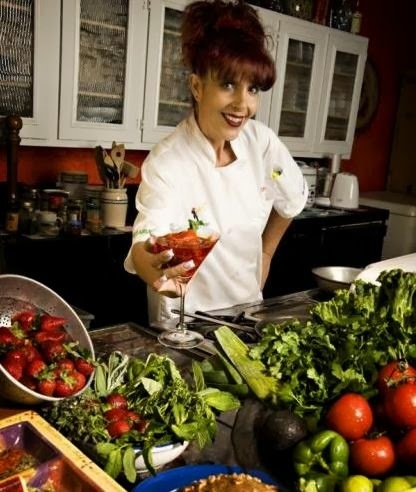 ~ Valentina Cordero, Founder of The House of V, is a professional Chef, trained by world-renowned chefs. 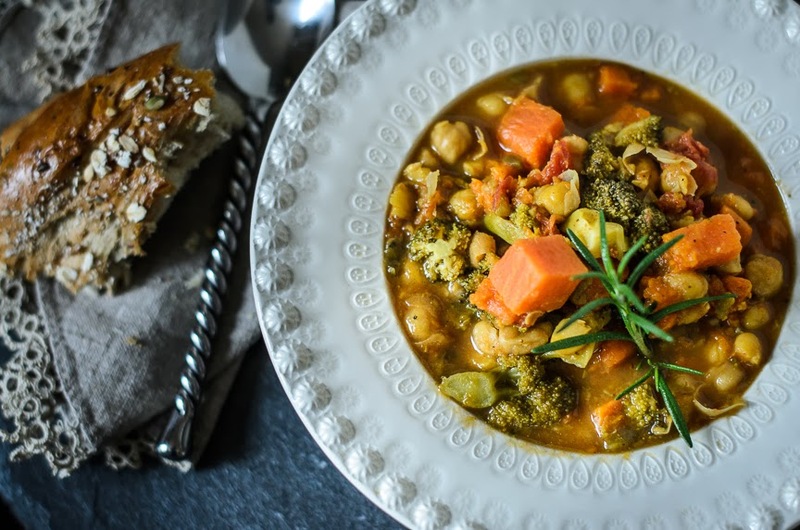 After embracing a Vegan lifestyle, Valentina knew she needed to adapt her French Cuisine training to Vegan ingredients that are both healthier and better for the planet. www.imaginevegancafe.com –Vegan Restaurant/Café in Tennessee– Family owned and operated vegan cafe specializing in southern comfort food and compassionate eating. It is a place to come and enjoy a meal, a snack or a dessert without causing harm to any of our animal friends. We opened this restaurant with the intent to have a place where you never have to worry what is in your food, to offer vegan style foods that are unavailable anywhere else, and most of all offer a place where you never feel like a weirdo for ordering food without animal products. ~ Being good to our environment is also very important to us. We believe strongly in Reduce, Re-use and Recycle. It is the primary reason our dishes don’t match, we recycle and use compost bins, and we offer biodegradable containers. We feel doing our best to leave a beautiful earth for our children, grand-children, and anyone thereafter is the least we can do. ~ Other very important reason for creating this restaurant is to not only give families an affordable place to bring their little ones but a place where children can act like children. We offer a full kids menu, and have coloring books and crayons available for use while you dine, and a children’s play area. 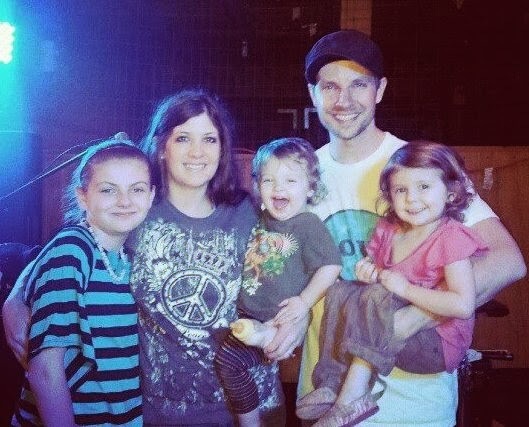 ~ We are Adam and Kristie Jeffrey. We are a husband and wife team who are passionately vegan. We also have three vegan girls, Savannah 11, Sierra 4, and Madalynn 2 – who are a huge part of the restaurant. We live in Walls, MS. on a very small farm and have a rescued 350 lb. hog named Miss Piggy, a rescued donkey, ten rescue dogs and 2 cats. www.PuraVidaVegas.com – Las Vegas‘s first Vegan Bakery and Bystro -100% Cruelty-Free Kitchen! In Spring 2014~ Pura Vida Bakery and Bystro will be moving and getting a bigger space. Chef Mayra tells us “I was born in Mexico City, I am half Cuban and half Lebanese (Arabic). I speak 3 Languages: Spanish, Portuguese and English. I became vegan because of food production, food politics and as a voice for animals to stop animal cruelty. Personally, I become vegan in late 2004 or early 2005 and my business transitioned 100% Vegan in 2006. Education, activism, higher spiritual growth and community involvement gives the opportunity to any vegan to continue to get stronger in their journey for the compassion and love to all species. A healthy you and planetary health is a bonus when you choose vegan. I love my Caribbean and Southwestern Fusion. Two of my favorite dishes are “Chipotle Orange Marinated Tofu with Mango and Tarragon sauce” in a bed of brown basmati almond rice, and “Vegan Chicken Flautas with Cilantro and Garlic Pesto” served with guacamole and Cuban rice and beans. 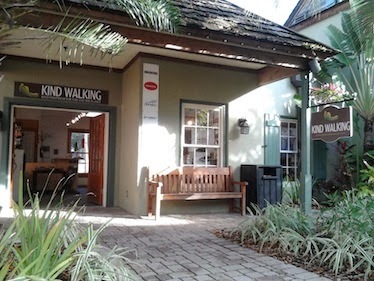 www.Mividacafe.net – Miami’s Mi Vida Café tries to support local farmers and select organic ingredients whenever possible. All meals are vegan since for Mi Vida Cafe it’s first and most important to be animal-caring and therefore encouraging a purely vegetarian diet and a healthy conscious lifestyle. We avoid animal products, microwaves, frying, preservatives, genetically modified food and high fructose corn syrup in our kitchen. ~ Born and raised in the country side of a small town in Argentina, owner and chef; Daniela grew up playing in the outdoors, climbing trees, recollecting wild fruits, running through huge fields of wheat grass, or picking up watercress by the streams. In her late teen years, right after moving out from home, she made the choice to quit eating meat. But it was not an easy one; the availability of information on vegetarianism was scarce at the time, especially in Argentina. But luckily, her first boss was a very well informed vegan hippie tree-lover extremist. After graduating from Miami’s LE CORDON BLEU culinary school in 2005, Daniela worked for years as a very successful private chef. With the hopes of bringing health consciousness to a lovely community that’s very much ready for a change, she opened her very own 100% vegan and organic restaurant in Miami, Mi Vida Cafe. 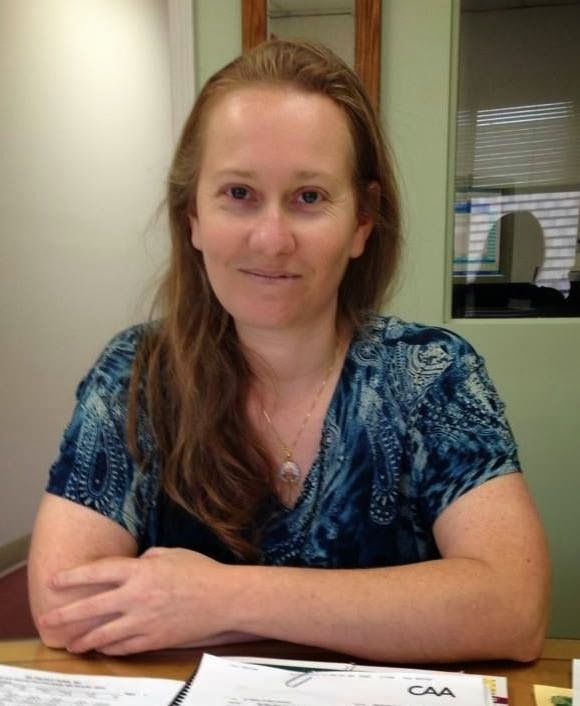 www.myvegansweettooth.com – On Facebook Tonya Lynette Deveau explains: “I currently work out of my home in Virginia Beach, with a licensed kitchen. I started almost 3 years ago because it was difficult for me to find good treats without any animal products in them. Gradually, as customers started making requests, I added other items such as gluten-free, raw, and paleo. These are all also 100% vegan. I now have over 100 items on line, and we ship many of our products. We love making people happy with food! We just recently added our vegan Pumpkin Cheesecake, which is currently sold in 3 area restaurants. www.regalvegan.com – Regal Vegan, Inc. – Artisan Vegan Food Producer – creates specialty, hand-crafted, savory vegan spreads in Brooklyn, NY for sale all over NYC, online and in select Whole Foods markets. On the weekends you can find their pop up booth at Brooklyn’s hot Smorgasbord and Brooklyn Flea markets for both their signature products and other gourmet fare. Regal Vegan’s world famous Faux Gras™ has been making waves since 2010 as an incredible rich and savory delicacy made without any animal products. Using mainly walnuts, lentils and caramelized onions, Faux Gras™ is so delicious. It was launched in 2009. Their newest sensation, Basilicotta™ provides a rich, herbal, creamy, vegan take on ricotta. ~ Founder Ella Nemcova, a certified Holisitic Health Consultant and Natural Foods Chef, traveled to over 30 countries before launching The Regal Vegan. ~ In 2012, founder Ella Nemcova and Regal Vegan Inc., successfully sued NY’s largest Foie Gras manufacturers for their misleading use of “Humane” claims in their marketing. They were forced to remove any suggestion that their products are made in a humane way. 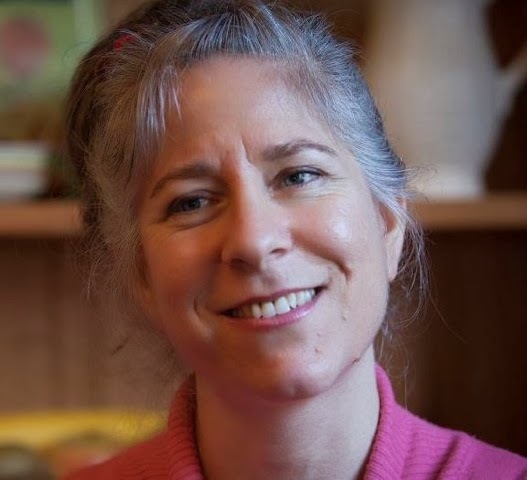 www.veggiegirl.com – Vegan Health and Lifestyle Coach – Dianne Wenz is a Holistic Health Counselor, Vegan Lifestyle Coach and Plant-Based Nutrition Specialist. Dianne coaches people from across the country to help them improve their health and well-being. Dianne combines health counseling and lifestyle coaching to create a program that is customized to your needs, and she will guide you to find the food and lifestyle choices that best support you. She will help you to make gradual, lifelong changes that enable you to reach your current and future health goals. Private Sessions; in person or via phone, group programs and cooking classes are available. ~ Dianne coaches people to help them improve their health and well-being, and she helps people make the dietary and lifestyle changes needed to go vegan. Dianne lives in New Jersey, where she runs the busy MeetUp group Montclair Vegans. Through the group she hosts monthly potlucks, runs charity bake sales and organizes guest speaker events. An avid cook and baker, Dianne also teaches cooking classes to local clients. She just took over the role of editor-in-chief for ChicVegan.com. www.veestro.com – Veestro Vegan food delivery (our food comes frozen). We ship all over the US. We make chef inspired plant- based meals from scratch, using only organic, non-GMO ingredients. Our meals have no additives and no preservatives. They arrive at your doorstep frozen, so you can place them in the freezer and use them as you need them. (No need to eat them all the same day… they can stay in the freezer up to 6 weeks!) Although we are based out of L.A., we ship all over the US. Veestro is especially designed for people looking for a healthy and convenient alternative, especially those who are busy and don’t have time to prepare and cook meals. ~ Mark and Monica are a brother and sister team whose childhood in Costa Rica was spent eating tons of fresh fruits and vegetables and enjoying meals prepared from scratch. By creating Veestro, they married the concept of eating healthy, organic, plant-based meals, with the convenience of having the meals on hand (in the freezer) for those days when one is just too tired or busy to cook! With Veestro, you just Defrost, Heat and Enjoy! www.VegKids.org ~ www.VeganCamp.org ~ www.VeganSchool.org – For kids who are veg, Veg Kids offers a wide array of totally vegan programs to support them for their good choices and connect them with other kids making similar choices. This can be wonderfully strengthening and empowering for kids who are being raised vegan or are choosing to be vegan on their own. 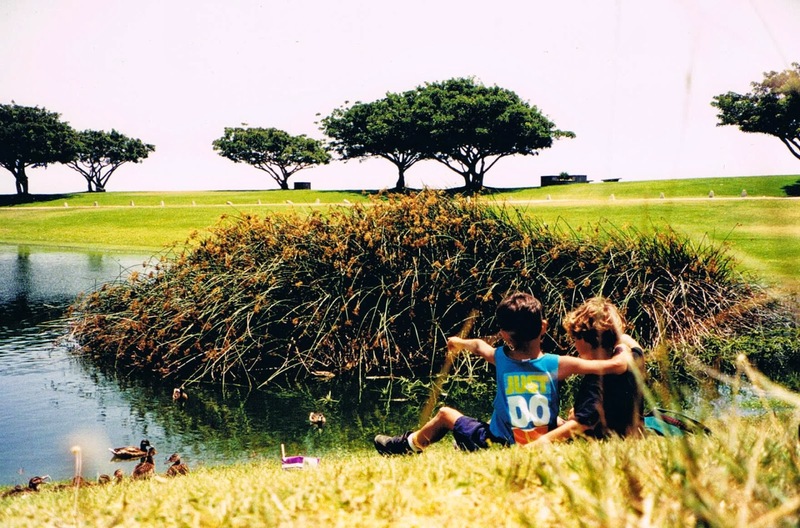 On weekends throughout the year, there are various opportunities for kids to connect with other kids in meaningful and engaging projects as well as vegan potlucks and restaurant outings. There is even a private school program that is totally vegan and also offers the most optimal individualized education for students. During vacations, there are the vegan camp programs. Campers come from all across the United States as well as from various other countries. There is no more conducive environment for a veg kid on vacation than to attend these camps where the food, the activities, the messages, and everything is truly totally vegan. Children are being raised with the utmost of consciousness. While these programs are ideal for kids who are veg, they are even more ideal for the world in that most kids who attend who are not veg, through these programs, have ultimately made the commitment to then go vegan. It is not just the veg aspect of these programs that are impressive, but the entire design of them is of the utmost quality for the kids and for the world of which they will become an important part. ~ The Director of Veg Kids, Vegan Camp, and Vegan School is Dr. Andy Mars. Andy is a Ph.D. in Education whose professional mission statement is “Helping make a difference in the lives of kids, and helping kids make a difference in life.” He has been vegan since the early 80’s, has served on the Board of Trustees of The American Vegan Society almost as long, was a founding member of Earthsave and PCRM, founded and runs the Kids Make A Difference Foundation, does a vast array of training for parents, teachers, principals, and law enforcement, consults to hundreds of schools across the country, works with a multitude of individual kids, and is quite committed to make the most positive difference he can in the world. With Veg Kids, he is helping veg kids stay vegan and helping more kids go vegan. www.ellovi.com – Vegan Skin Care. “We created Ellovi because we believe you should feed your skin the most pure and nutritional ingredients on the planet. Most cosmetics are full of unnecessary chemicals, parabens, and preservatives created in science labs. 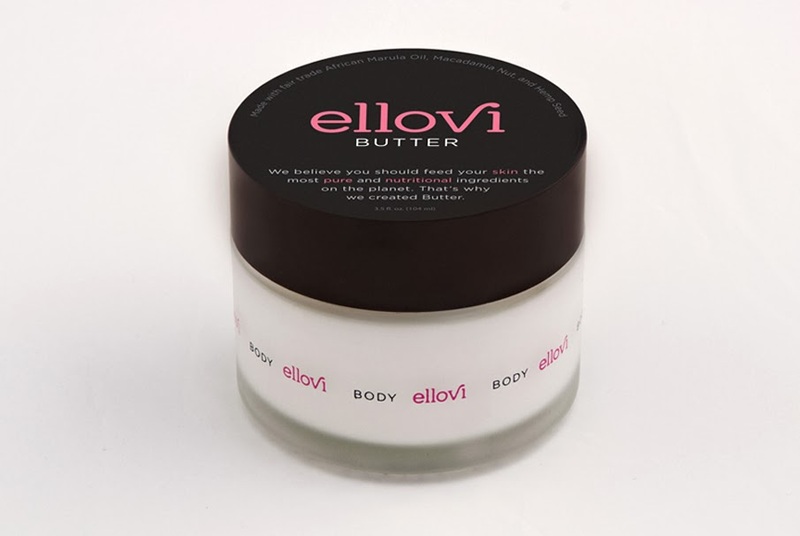 Ellovi Butter is a raw body butter made from just six pure ingredients ethically sourced from around the world. What’s really special about Ellovi Butter is that we don’t add water. That means it’s highly concentrated and can’t evaporate like other body butters. 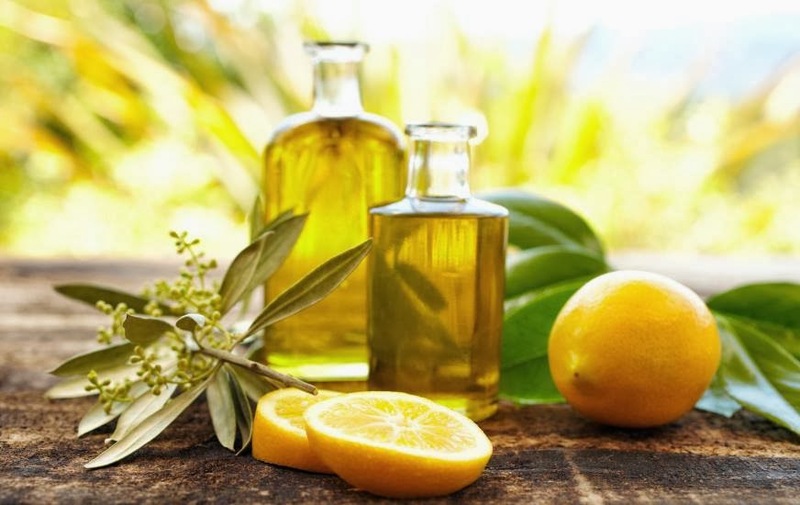 Butter soaks in deep and moisturizes skin from the inside out” says Kelly. 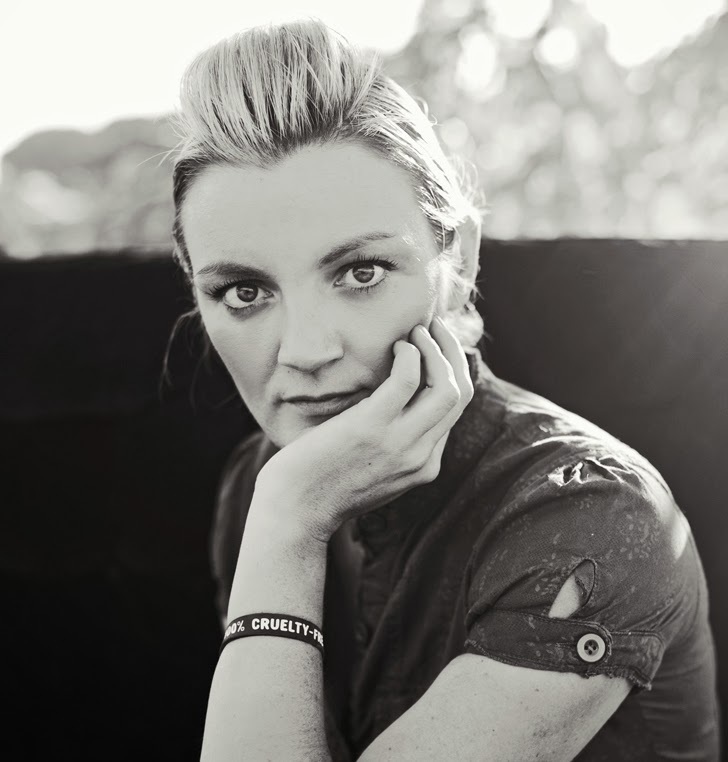 Ellovi was founded by Kelly Winterhalter. Kelly spent years selling beauty products online for big brands. After learning that most mainstream body butters contain artificial ingredients, preservatives, and other potentially harmful junk, Kelly decided to create her own line of completely pure skin products, so pure that you can eat them. 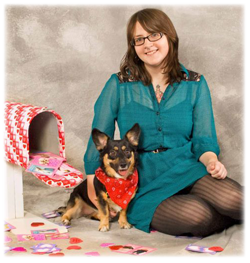 Kelly is an experienced graphic designer, certified yoga instructor, animal lover, and vegan. 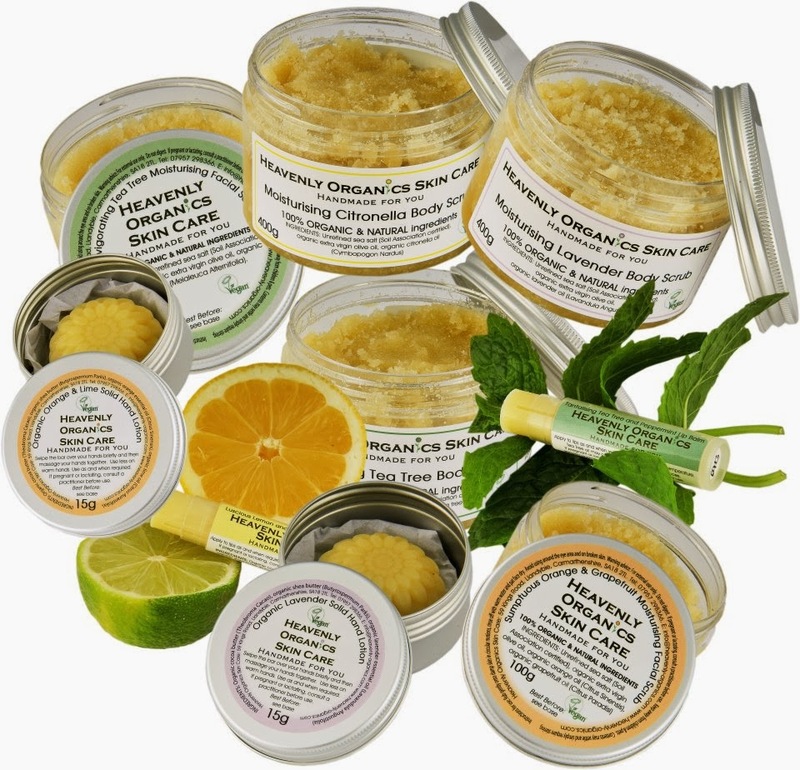 www.botanicalz.com – Botanicalz – handmade herbal, VEGAN, aromatherapy, body-care and spa products – scrubs, crèmes and tinctures. My Facebook page is www.facebook.com/botanicalz. I’ve been making products for 12+ years, but the site is brand new. Over 500 “Likes” in 1 week, so I’m happy!” shares Stephanie Ariel. Splice Photography – Photography [Weddings, Portraits and Events] New York City – Jocelyn Portney – Co Owner, Photographer and Photo Retoucher: Jocelyn became involved with Mercy For Animals in 2008, photographing their Chicago based events while starting her ecological photography company with her boyfriend, Corey Brown, a wedding photographer from Rochester, NY. Graduating with her BFA and freelancing as a high end photo retoucher, they decided to take the company to NYC in 2009. Together, they have had the honor of photographing big names with even bigger hearts from Mayor de Blasio to Russell Simmons. Jocelyn continues to work for many high end fashion photography studios which has helped shape Splice’s signature fashion-meets-bridal style.~ Corey Brown; Co Owner, Photographer and Graphic Designer: Working for several of Rochester’s top wedding photographers since 2002, Corey took his well trained eye to Chicago where he met his girlfriend and business partner, Jocelyn Portney. Attracted to the design world, Corey studied book making, typography and programming while attending NYC’s Art Institute. Corey’s magazine design as well as his photography has been featured in art galleries and homes from coast to coast. Corey and Jocelyn, now vegan, use their compassion to propel their vision for an eco-friendly, 100% vegan owned and operated photography and design company. www.AndysHealingCenter.com – Andy Schulgasser’s center is about healing from diseases and losing weight naturally, which includes teaching vegan diet and walking dogs at an animal shelter. Weight loss and relieve symptoms from all diseases with change of diet, lifestyle, and belief system, and with love of animals. Andy has worked with animals for 25 years. In addition, she has studied holistic health, followed a vegan or plant-powered diet, and healed a great deal of her many illnesses and injuries throughout many years due to her change in diet, lifestyle and changing her thoughts. 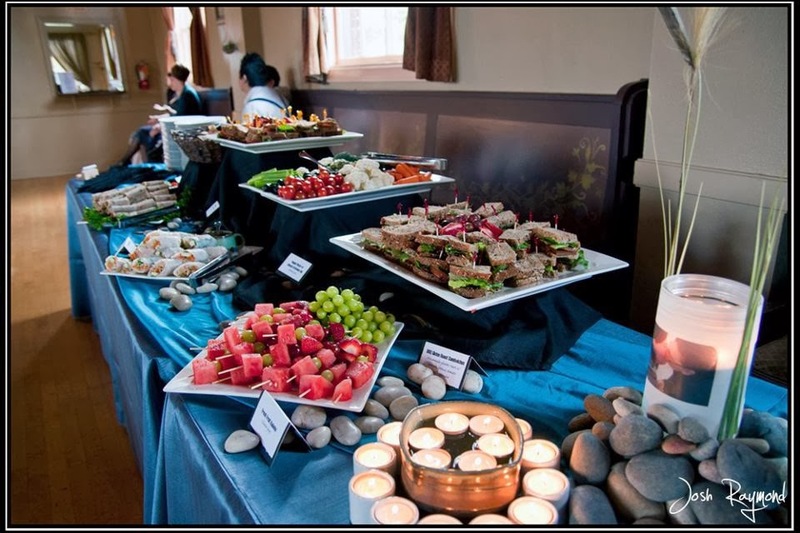 www.thevegancaterer.com/ – Catering, Non-Profit Event Coordination – Located in Portland, Oregon, The (vegan) Caterer offers full service vegan catering for weddings, commitment ceremonies, anniversaries, graduation parties, retreats, corporate events, and full menu customization to suit each client’s needs. The (vegan) Caterer is owned by Josh Raymond. 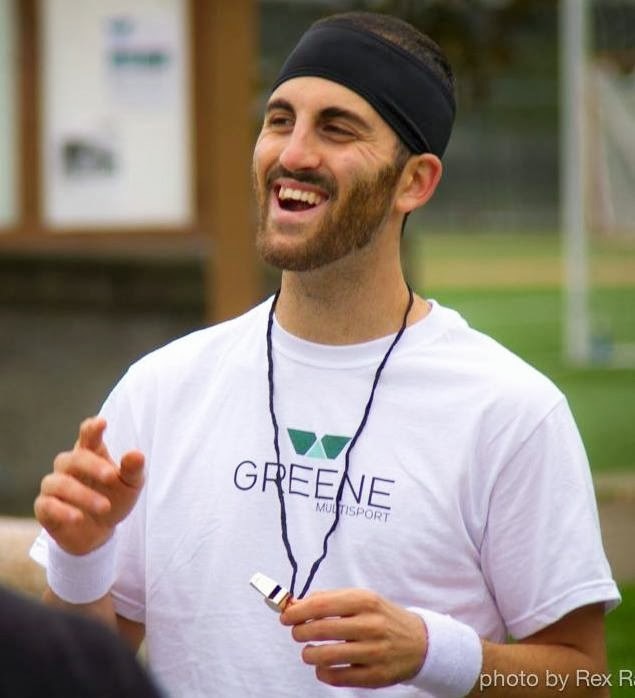 Native of New Jersey, Josh relocated to Portland, Oregon in 2008. The appeal of Portland includes the endless options for outdoor adventures, cycling, and diverse eating options, as well as the opportunity to contribute to a large community of like-minded individuals. The creation of The (vegan) Caterer is his way of sharing two things he is passionate about, GOOD FOOD and ANIMAL RIGHTS. In 1997 Josh educated himself about animal suffering and his life was changed forever. It was at that time he rid his life of all animal products and dedicated himself to a compassionate lifestyle. ~ The (vegan) Caterer has been in business since late 2010, we have served countless people, many of whom are not even vegetarian. Providing guests with their first intentionally vegan meal is our opportunity to highlight some of the benefits of a compassionate lifestyle. 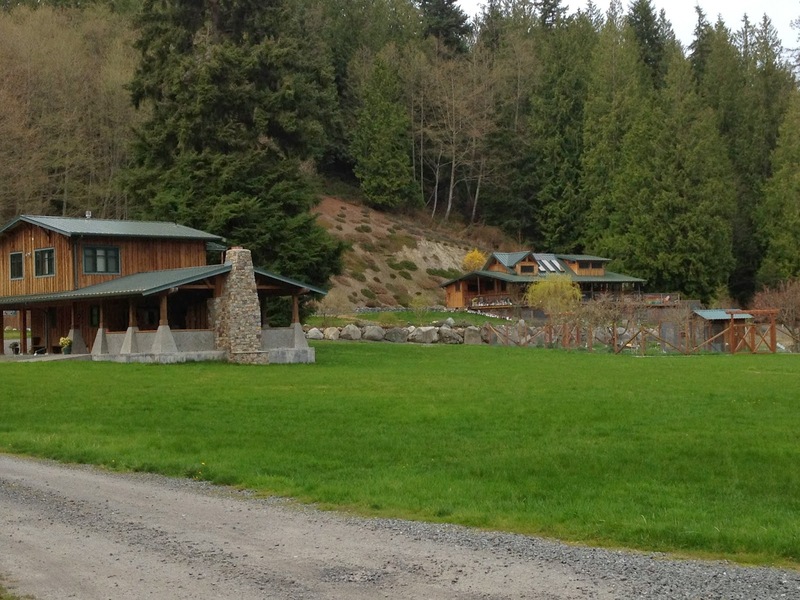 Someday Farm Vegan Bed and Breakfast, Freeland WA. 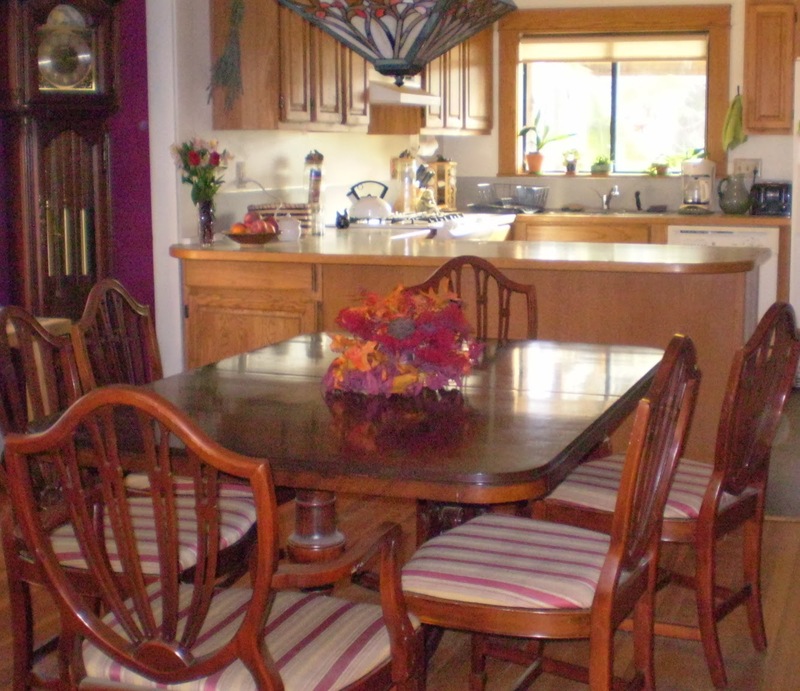 ~ “My husband David and I, have traveled extensively and always yearned for a Bed and Breakfast that offered food we could eat. A few years ago we decided to build a place for guests to share our lovely property and it has been very rewarding. – Vegan visitors are able to relax and not be concerned about meal issues. Our suite is very private and a perfect spot to get away from it all. Our menagerie of farm animals thrills many guests– the three miniature donkeys should have their own fan club….” shares Jill Campbell. www.cherokeeroseinn.com/ ~ Bed and Breakfast – The Cherokee Rose Inn offers a cozy and convenient home base for exploring Portland, Oregon. Proprietor Sandy Miller, vegan since 1991, is a retired middle-school science teacher. She named the Inn for the state flower of Georgia, her home state, in respect for the Native Americans who once thrived there. The Cherokee Rose is a non-smoking facility. Two guest rooms each accommodate up to four people. There is one shared bathroom. Free day passes for public transit, full vegan breakfast daily, lots of shopping, vegan food, green space nearby. Free wi-fi.~ “The hand soap and toiletries I provide are Trader Joe’s brands that state, “no animal testing, no animal products. My cleanser is Bon Ami, although I do use regular bleach for disinfecting surfaces, and it was tested long ago but not recently. There’s no wool, silk or leather in the guest or common areas. The dog is vegan, but the cat is not. I don’t wear or use any animal products beyond that, to my knowledge” shares Sandy. 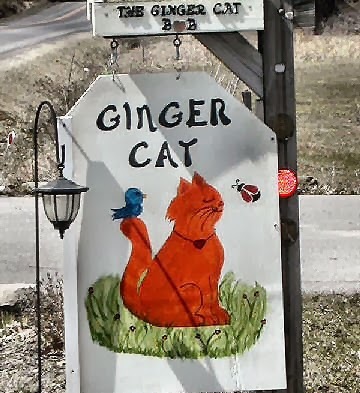 www.gingercat-bb.com – The Ginger Cat Bed & Breakfast – is nestled on 15 acres a few miles northwest of Watkins Glen, New York. It is the perfect place to stay during your vacation in the Finger Lakes. Come for some peace and quiet and delicious vegan food. ~ “I’ve run the Ginger Cat B&B in the Finger Lakes Region since 2008” shares Gita Devi. “I’ve been vegan for over 17 years and my place is 100% vegan.” It was voted favorite Veg B&B in 2009 by the readers of VegNews magazine. BeyondSushiNYC.com – At Beyond Sushi also known as “The Green Roll”, Chef Guy creates aesthetically pleasing, vibrant fruit and vegetable sushi rolls. With a multitude of fillings such as baked sweet potato and mango, Beyond Sushi is kid-friendly, fish-friendly, and gluten-friendly! Chef Guy Vaknin, Israel native, moved to New York in 2005 to pursue his dream of working as a Chef in America. After nearly four years of preparing cutting edge dishes for some of the most notable charity galas, corporate functions, and high end weddings, Chef Guy was selected as a contestant on Fox Network’s show, Hell’s Kitchen, Season 10. Following the completion of the show, Chef Guy decided to travel down a different path. Fascinated by the many health benefits associated with a plant-based diet, Chef Guy broke new grounds and pioneered the Beyond Sushi vegan lifestyle brand. On July 1st, 2012, he opened his very own vegan sushi restaurant in lower Manhattan. A few months later, his wife Tali joined him to help develop the business and she took on the role as catering director. Co-owner, Tali is a vegan, while Guy is a vegetarian. (Um… half vegan-owned!) 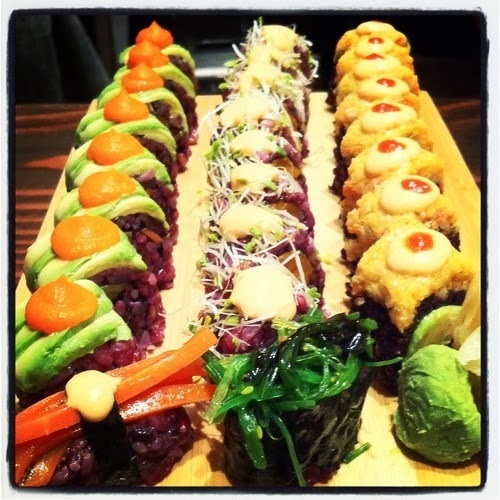 After ten successful months, Guy and Tali opened their second Beyond Sushi location in Chelsea Market. www.Vegetariandogs.com features the book called Vegetarian Dogs for purchase. 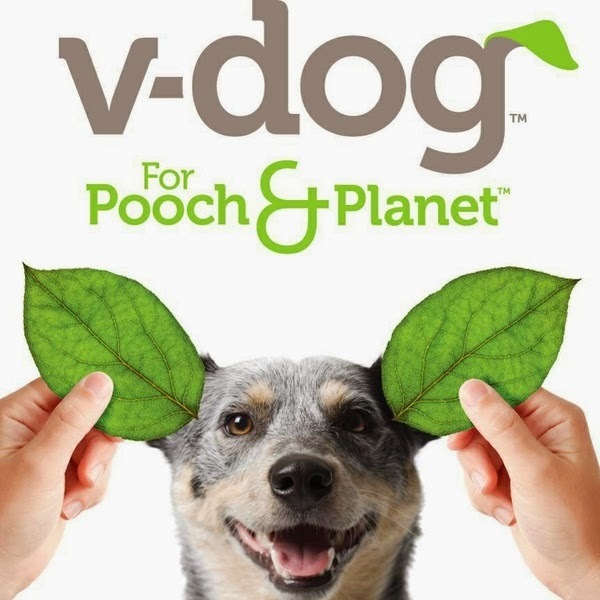 The book examines canine nutrition, the benefits of vegan diet, and explores moral and ethical issues pertaining to safely feeding your dog a plant-based diet. Nutritional analysis is provided with recipes; and nutritional supplements are addressed. Vegetarian Dogs is beautifully illustrated, and gives accounts of several dogs which were successfully maintained on a vegan diet. www.plantperfectionfoods.com – Plant Perfection Foods – “We prepare whole food vegan, no added oil, salt or sugar; frozen foods to order and deliver them to homes or businesses. We have local delivery in Northeastern Ohio through Pittsburgh, PA and ship nationwide. ~ It started as a health journey for us, but became much more. We are total vegans committed for ethical reasons. We even have a mini farm animal sanctuary; just a few goats, hens and rescued cats and dogs. We do want people to eat healthier. Even some vegans could do better.” explains Cherie Dover Perkins. www.PlantFit.com – Vegan fitness training/running – Plant based nutritional coaching and outdoor, personal and corporate fitness training in San Francisco. Long-term committed vegan personal trainer to the tech superstars in SF. My favorite power fuel is a peanut butter and jelly. 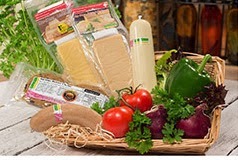 www.veganz.de – All Vegan Supermarkets – From their mission statement: We strive to make a vegan life possible for everyone worldwide. Our partners love us because we are sustainable, responsible and honest. We care. We love life. 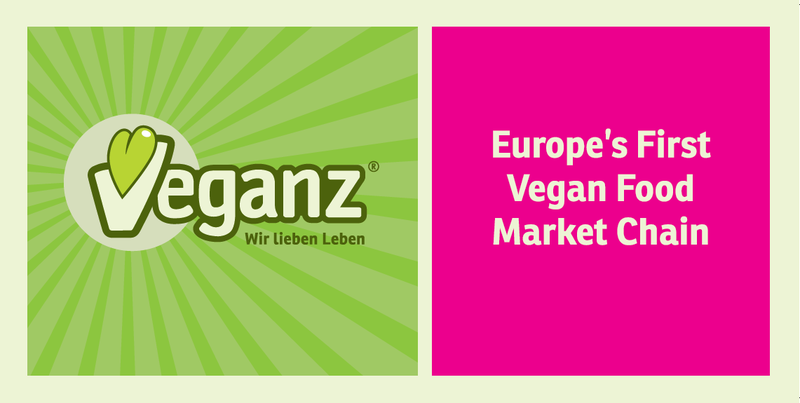 Veganz is the first vegan full-range supermarket chain in Europe. ~ Veganz stands for respect, respect and responsibility towards all people, animals and the environment. We want to sensitize people for their actions towards other beings, the environment and their own health through food. Our goal and mission is to provide high quality products to stimulate interest in the vegan lifestyle and make it accessible to the general population. Therefore Veganz is much more than a vegan supermarket: as importer, wholesaler, we offer our customers an extensive range of products. We also help the public to understand us, through cooking classes, seminars / workshops, and movie nights – as a platform for the vegan diet and lifestyle. Any Veganz market has a huge cooling cell with a choice of meat, sausage and fish alternatives, 80 cheese alternatives, and vegetable ice. The dairy shelf offers 45 delicious vegetable varieties, many cream alternatives. Moreover, every Veganz store is well-equipped with a beauty department, cleaning and hygiene products, pet food, and lots of sweets like chocolate bars and biscuits. There is a department for people with gluten intolerance. The pure herbal product range includes over 6,000 products from approximately 200 suppliers from 30 countries worldwide. The entire range has been through the “Veganz – quality check ” and there are no ingredients of animal origin in the products. The first Veganz market opened in summer 2011 in Berlin – Prenzlauer Berg. In 2013 an additional shop in Berlin Friedrichshain was opened. 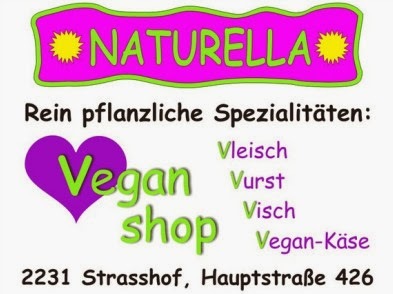 Other cities in Germany like Frankfurt and Hamburg have a Veganz store, since 2013. Over the next three years we want to “veganize” Europe. By the end of 2015, there will be 21 stores throughout Europe.” shares Elisabeth Dober. www.MuLondon.com – MuLondon is a range of award-winning, 100% vegan skincare products. Based on certified organic ingredients, precious herbal extracts and pure essential oils, MuLondon products are designed for dry and sensitive skin. They come in unique varieties such as ‘Marigold, Frankincense and Myrrh’ and ‘Rose, Rosehip and Rosemary’ moisturisers or the yummy ‘White Chocolate Elbow, Knee and Heel Cream’. The entire range is registered by The Vegan Society and PETA. ~ Boris is the founder and head cream-whipper of MuLondon. Having always been interested in natural and organic products, and going vegetarian at the age of 10, and vegan over 10 years ago, he found an outlet for his passion for cruelty-free lifestyle and strict ingredient requirements for the products that he uses, in creating his own range of products under the MuLondon brand. He believes in the power of safe, time-tested and effective natural ingredients, which are used in all MuLondon products. MuLondon has won some great awards: 2011 Vegan Society Awards, 2013 Mayor of Lewisham’s Environmental Award, Silver Award Winner, shortlisted and commended in the 2013 FreeFrom Skincare Awards. 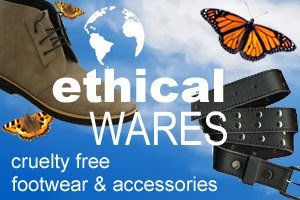 www.ethicalwares.com – “ethicalWARES is an ethically-based mail order company run by vegans. We seek to trade in a manner which does not exploit animals, humans or the wider environment. By the sale of these vegan products we hope to play our part in the promotion of a cruelty-free lifestyle. All our products are not only Vegan but have been carefully sourced to satisfy us to their worker friendly credentials. We’ve been dealing with some of the companies making footwear for us for many years now. Where we can, we support the UK footwear industry as this has been hit so very hard by cheap imports from abroad, forcing much of the domestic industry to close down. We believe that the struggle for a better deal for animals cannot be separated from that same struggle for human rights. To this end many of our accessories are covered by Fair Trade criteria and we are proud to be supporting the Tibetan refugee community by offering Tibetan incense, handicrafts and music in our Tibet Shop” says Mike and Denise Newman. Denise and Mike have both been vegan for over 30 years now and live in West Wales (UK) with their son Bryn and 50 rescued animals. The income from ethical WARES supports the care and well-being of the animals in their care. We have recently started a Lifestyle Blog which tells a bit about our life. www.bboheme.com – “Bourgeois Boheme is a London, U.K. brand of luxury vegan footwear for men and women produced ethically in Portugal. We offer classic designs with a contemporary twist and our signature branding of the lotus flower. 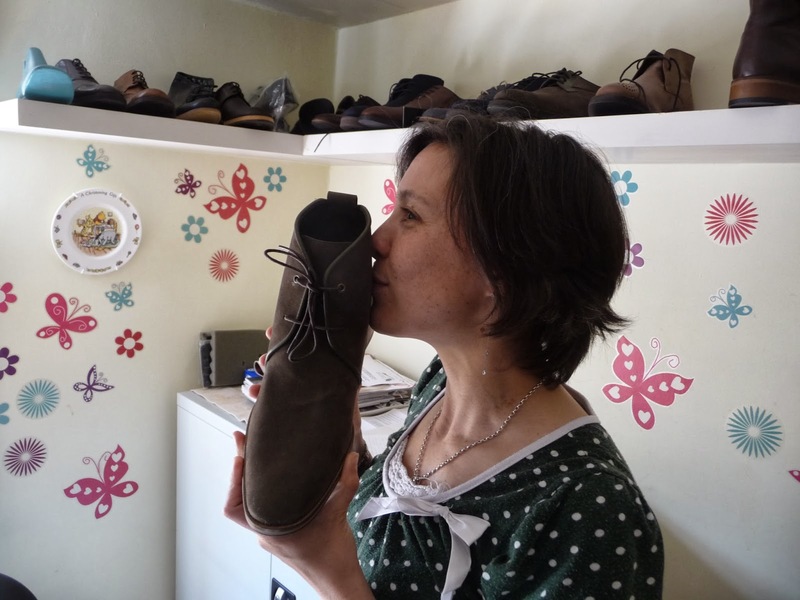 Vegan business owner, Alicia Lai, further explains: “I love shoes but I found it incredibly difficult to find shoes that were fashionable, ethically made and also represented my own ethics and beliefs as a vegan. So in 2005 BoBo was born! No animal products are used in our production and we use the finest quality Italian faux leathers and eco-friendly natural materials. BoBo’s footwear ranges are created in Portugal in handpicked factories that I have personally visited. Our designs are comfortable and stylish. We have a fabulous ranges of shoes and boots for men and women, based on classic styles with a contemporary twist. At BoBo we have done all the fancy footwork and make it easy for those looking for a more ethical option. We are passionate and love what we do and it really is the most wonderful thing to run a business based on our ethics. We aim to inspire people to live more ethically and share in our passion. ~ We are re-launching in April 2014 with a Spring Summer range. www.vegantuckbox.co.uk – Monthly vegan treat box – Vegan Tuck Box contains a surprise selection of 10 vegan snack and treat foods hand-picked and delivered straight to your door. Each box will contain 10 new or hard to find vegan snacks, so that you can be the first to try new products on the market. The products in the box change each month. 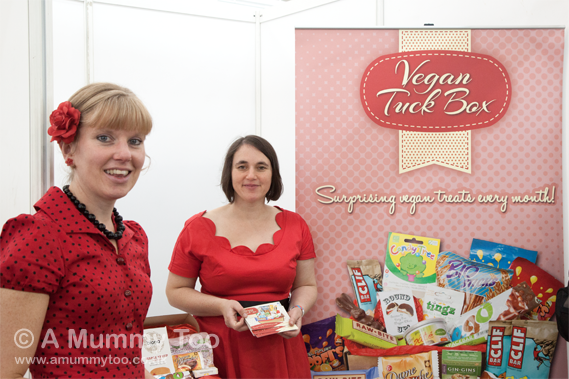 Vegan Tuck Box is a small ethical business run entirely by two vegans, Chrissy Leyland and Kelly Slade. 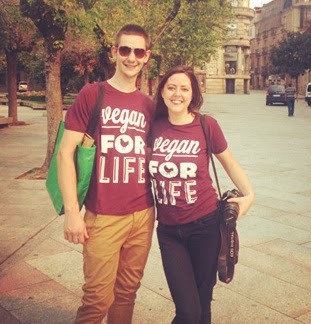 They state “We are passionate about making veganism accessible for all, so we set up Vegan Tuck Box to make vegan products more widely available and easier to obtain.” The owners are also the founders of The Vegan Approach – a national group that offers practical help for people who want to go vegan. 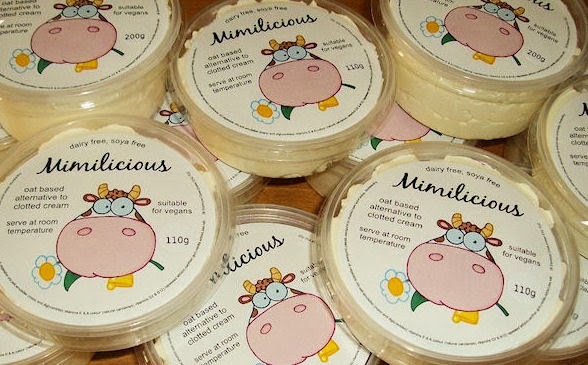 www.shambhus.co.uk – Vegan caterer + producer of a range of vegan and gluten-free cheesecakes; currently available in independent whole food shops all over the UK (for a list of stockists, visit) – Shambhu’s, a Vegan Society registered business based in London, UK, specialises in providing good quality vegan catering, inspired from culinary styles around the world. Shambhu’s caters for all manner of events, ranging from home-get-togethers and business meetings, to festivals, conferences and wedding receptions. Shambhu’s also produces a range of vegan and gluten-free cheesecakes sold in individual-portion pots at whole food shops all over the UK. 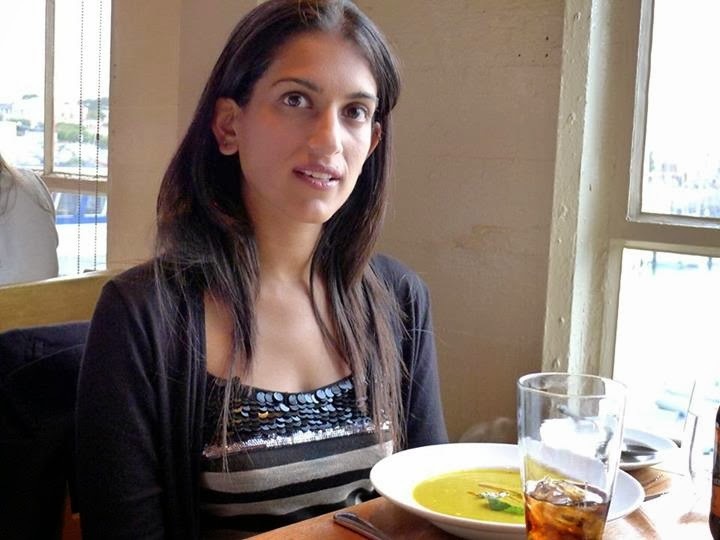 Shambhu’s vegan founder and chef, Nishma Shah, was born in Kenya. She is accustomed to cooking in a variety of styles inspired from around the world, including European, Asian, Middle Eastern, Latin American and African. 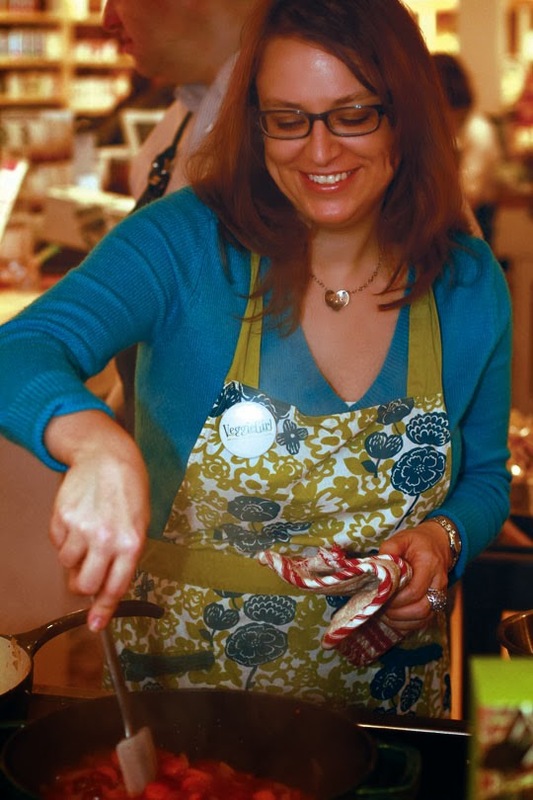 She has given several vegan cookery demonstrations including African and Asian fusion foods, as well vegan Asian sweets. Nishma Shah is from Jain community, and has lived her life immersed in a culture that embraces peace and compassion (ahimsa) to all life. 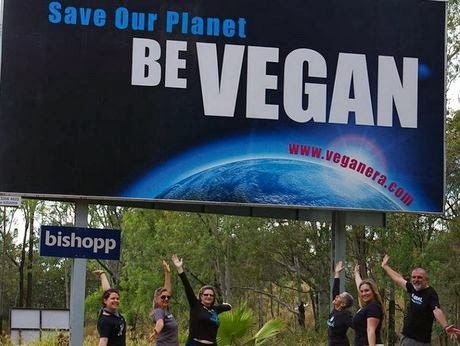 One of the activities that she and her husband are involved in on a voluntary basis, is outreach work through a grassroots group called the Jain Vegans Working Group – aiming to raise awareness among the Jain community about the vegan lifestyle. 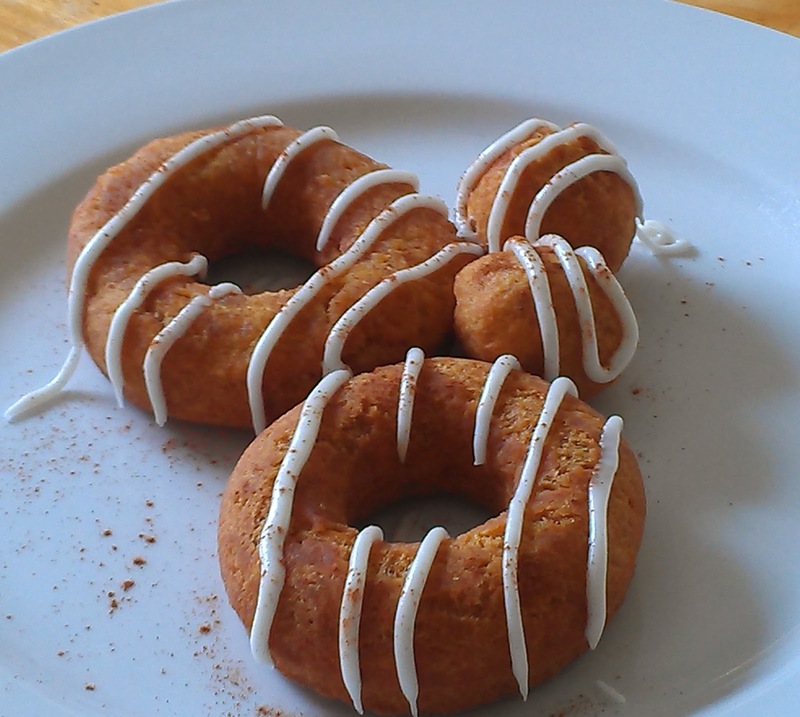 www.Vegan-Kitchen.co.uk – Vegan homemade foods supplied to local and national business and general public. “Vegan kitchen launched mid 2013. The lack of local vegan foods in the North East of England spurred our family to do something about it, now six months on, we are looking to placed our recipes into national supermarkets. All our foods are homemade and each dish is made with love” says Louise Pinchen; is a 20 year old female business student and life-long vegan. Louise has built business recipes that have been handed down to her from her great grandmother. 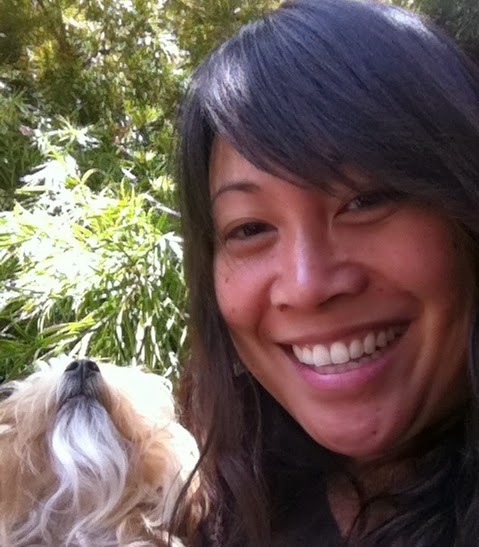 She feels passionately about environmental issues, animal welfare and health. 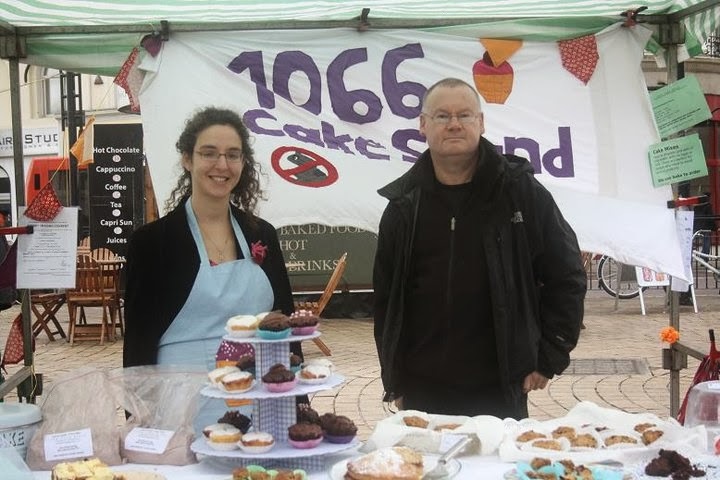 www.1066cakestand.co.uk – “We run a vegan cake shop. We also sell a local vegan beer, savoury snacks and a lot of vegan chocolate. We have 2 recipe books out, which we also sell in -store, and on-line. We make and serve light savoury snacks and have an entirely separate gluten free kitchen where we make our wheat and gluten-free goodies” explains Shelley. She has been vegan for almost 20 years, and Kev has been baking vegan cakes for almost as long. Kev is a dab hand sugarcraft, and decorates all our traditional celebration cakes. 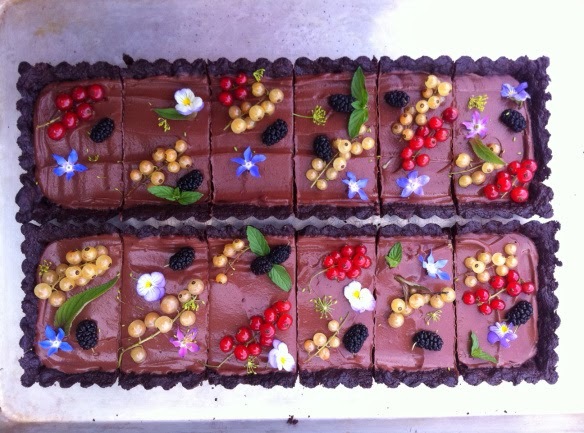 www.titbitscatering.co.uk – Brighton based – Pop Up Restaurant, Vegan Catering and Cookery Classes ~ Titbits Catering is 100% vegan run business run by vegan chef Paula Young. The Gourmet Girls Pop Up Restaurant every Friday night has been running for 2 years and offers a 3 course gourmet dining experience. The menu changes weekly with a different theme from around the world. The most popular nights being Italian, Japanese, Spanish, and Vegan’ Fish n Chips’. Paula also offers plant based cookery classes and caters for parties and events. She has been vegan for 19 years and has been cooking for just as long. She is passionate about veganism and decided to start up her own vegan catering company after working for many years as a chef in well-known vegetarian restaurants. 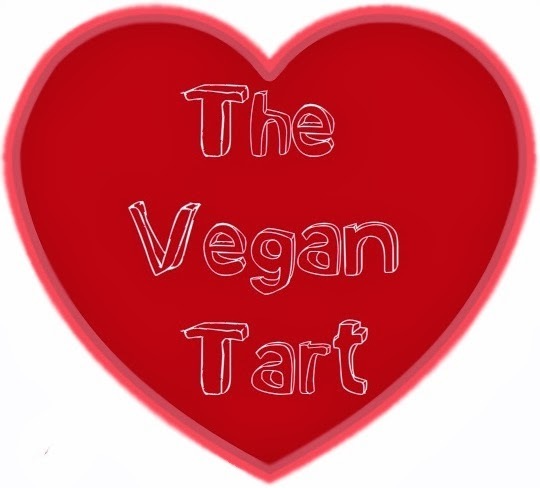 www.thevegantart.co.uk – Vegan cakes, sweets and savouries -“The Tart with a Heart” offers a wide assortment of cakes and novelty cakes, such as lime and thyme cake, lavender cake, tomato cheesecake, and fig and asparagus tart. The cakes are sold online and at markets, see website for dates and locations. Dumisani Nyathi, a vegan himself, wanted to produce cakes at an affordable price so people who aren’t vegan wouldn’t be afraid to try. The Vegan Tart this year won two categories in the Great Brixton Bake Off. We won best savoury and also best in show. This was a great honour when competing against 30 other bakers and a great win for veganism. www.fifthdimensiontattoo.co.uk – A vegan tattoo and piercing studio. “Here at Fifth Dimension Tattoo and Piercing in Shoreditch, London, we offer a tattoo service that is vegan-friendly and sincere at heart. Because we highly believe that business should be ethical and fair for all involved, we have made sure that all our tattoo inks, stencil creams, soaps, and tattoo aftercare are 100% vegan, plant materials. You can be sure that while you are being tattooed, the entire process is vegan. ~ My name is Shannon Idzikowska and I have been vegan for eight years now. My partner, Andrzej Idzikowski, co-owns our studio and pierces and went vegan in 2013 after many years as a vegetarian. We are two artistic people in our spare time and appreciate all walks of life! We are a completely custom studio which means that your ideas and designs are of interest to us; we don’t have “flash” books with ready-made designs to pick out and stick on your skin. If you are looking for a creative environment where you will be able to have a consultation and work out the nitty-gritty about your tattoo, then you have come to the right place. Also, if you are a small business/vegan business owner, you may be discounted as well. We have promotions running from time to time for everyone, and all this information is displayed on our website. 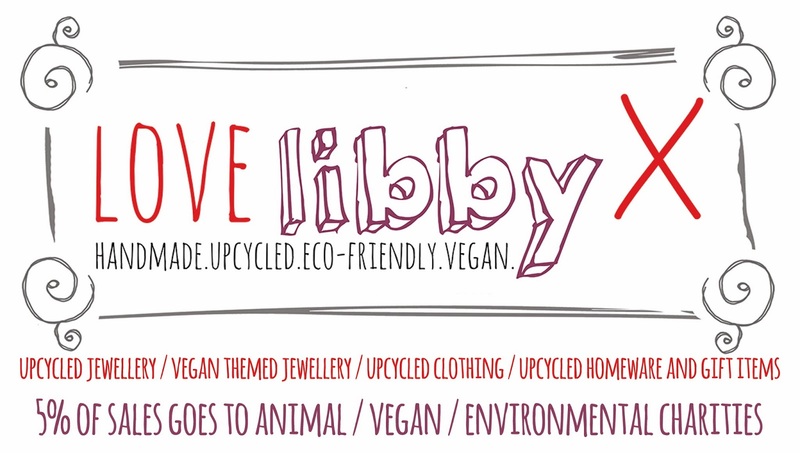 If you have absolutely any questions about us, please email me at fifthdimensiontattoo@yahoo.co.uk –or- call me at 0207 613 2736.
www.facebook.com/LoveLibbyX – www.etsy.com/shop/LoveLibbyX – Upcycled jewelry, vegan themed jewelry and home ware, upcycled clothing, gifts and home ware. ~ My business is based on a very eco-friendly ethos. I mostly use cutlery, paper and old clothing in my jewelry and upcycled beads and chains which I buy from charity shops. I also use sea glass and ceramic which I source myself from the beaches near where I live in North Yorkshire, UK. I make gift and home ware from recycled products such as rag wreaths and papier-mâché signs. 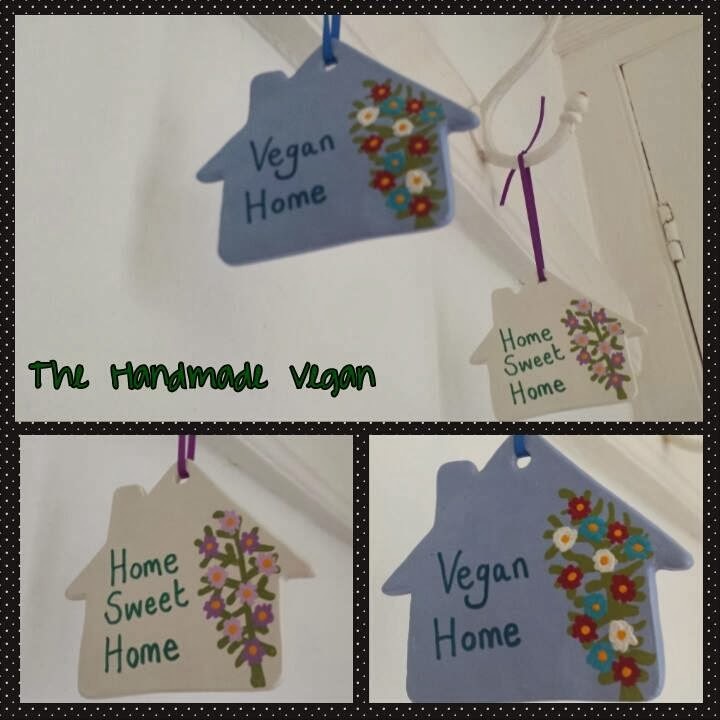 I also produce vegan themed jewelry and home ware for people who want to proudly show their veganism off to the world. ~ I have a BA (Hons) in Photography with Fine Art and have always been interested in arts and crafts. I still pursue my love of photography and drawing and painting as well as creating beautiful unique jewelry and other upcycled products. My husband and I became vegan in September 2012 after both being vegetarian for many years and have never looked back. I have always been a passionate animal advocate and environmentalist and I find that veganism is a perfect way of expressing this. 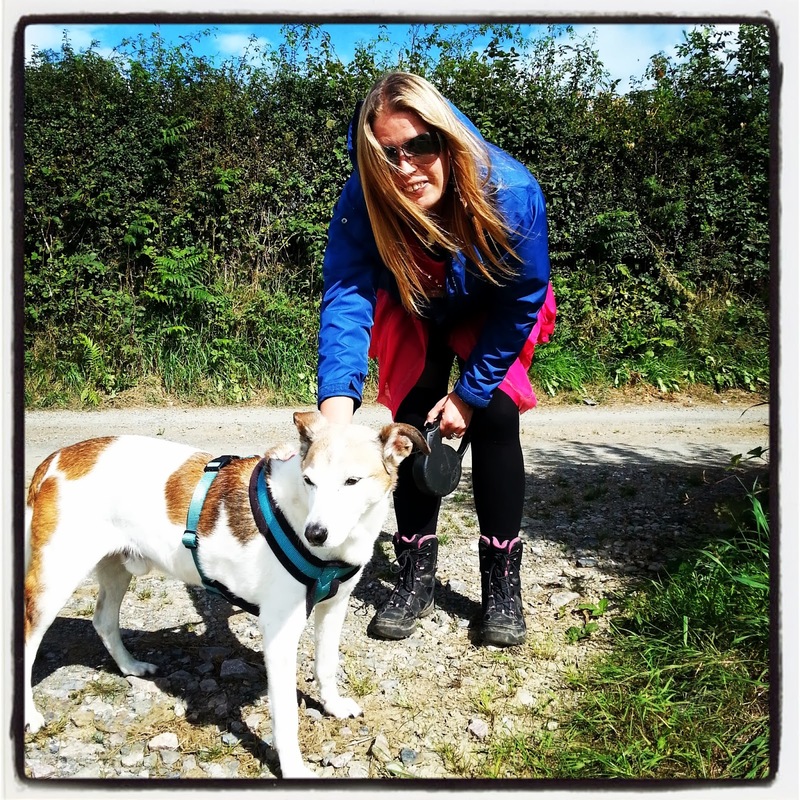 www.michael-house.co.uk – Vanessa Lackford has a vegan guest house in North Cornwall, UK. Michael House has gradually been evolving towards being vegan for the past four years, having been a vegetarian guest house since 1997. Simon and I took it over in 2004 and became vegan ourselves in 2009. I had been a life vegetarian; never eaten meat. ~ From November 2013, the guest house has been entirely vegan. We are delighted to finally bring our business in line with our hearts. 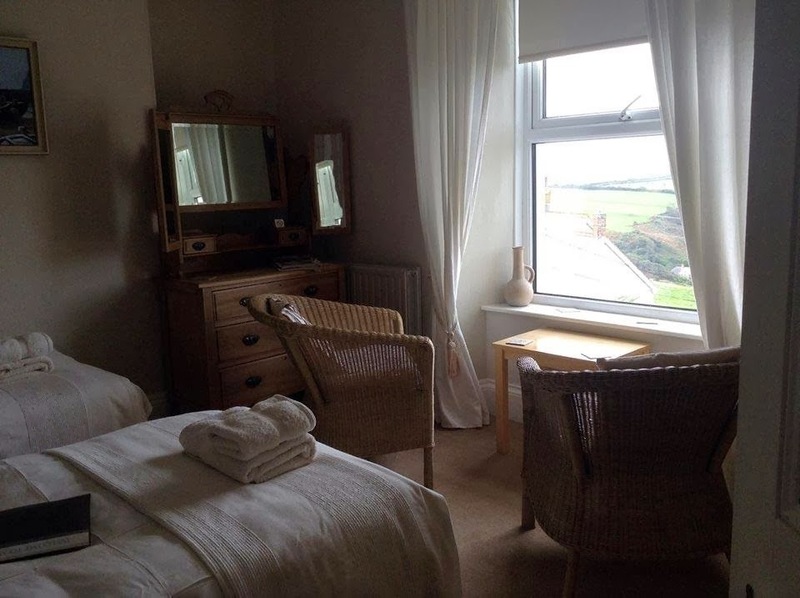 ~ Michael House has three guest rooms, two are en-suite. We are open all year, offer special out of season discounts and vegan cookery workshops. We welcome families and companion animals. We are licensed and there is an extensive menu list to choose evening meals from. We aim to provide a welcoming atmosphere, adapting what we offer to the needs of our guests wherever possible. Nothing makes us happier than hearing laughter from the dining room, with its one big table, as guests share stories and put the world to rights together! ~ We live in a wild and stunning setting in an elevated position in a small hamlet, feeling the blast of the wind from the Atlantic Ocean. There is a dog friendly and rock pool filled sandy beach some 15 minute walk away, with sea glimpses from the windows here. We welcome everyone to stay, not just those who are vegan. I am always delighted when non vegans enjoy the food here. We hope we are planting seeds and helping to create a more caring, ultimately vegan, world. www.vegancross.com – Vx – is a vegan boutique located in London. We sell a bit of everything, from grocery to shoes and clothes to take away food (sandwiches, kebab and patisserie). The shop is owned by the creator and owner of the t-shirt company Secret Society Of Vegans. That’s the reason why Vx sells a lot of SSOV related merchandise. www.unitefortheanimals.org – T-shirts (nonprofit) – “Unite for the Animals provides love fueled t-shirts and resources to animal advocates around the world. Unite for the Animals is powered by the founders of Mino Valley Farm Sanctuary a nonprofit safe haven for rescued farm animals in Spain. Our t-shirts are made with the utmost love and care for the people, the planet and the animals. They are eco-friendly, fair-trade, organic and made with water based ink. Our profits are used to give the rescued farm animals at Mino Valley Farm Sanctuary the life they deserve, and we also share 25% of the profits with other animal organizations who are fighting on behalf of all our non-human friends because we believe in sharing” explains Abigail and Mike. 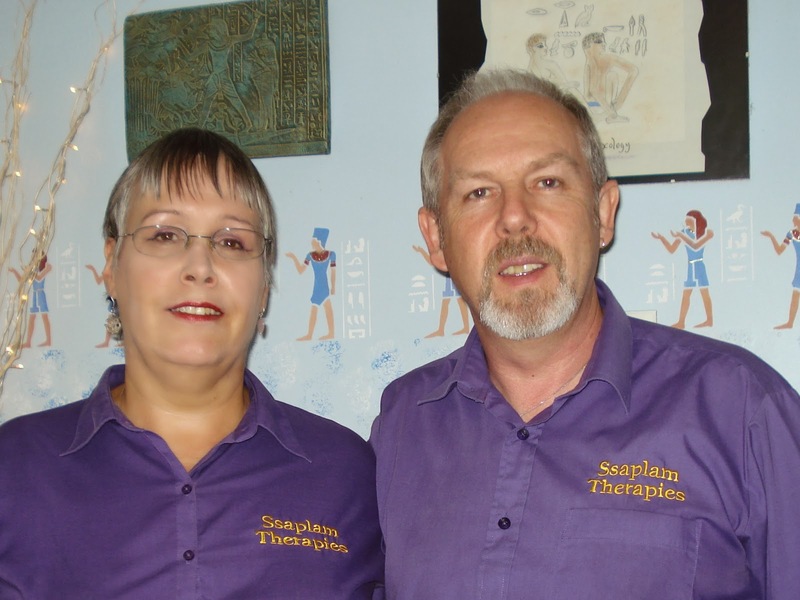 www.ssaplamtherapies.co.uk – Ssaplam Therapies – Face Book: Ssaplam Therapies – Phone: +44 01922 446312 or Mobile 07745 232489 – Contact email: info@ssaplamtherapies.co.uk – Location: New Invention, Willenhall, UK – “We are Paul and Diane Malpass of Ssaplam Therapies, Complimentary Holistic Therapists. We offer a wide range of vegan friendly therapies which are Allergy/Intolerance Testing, Vitamin and Mineral Testing, Clinical Hypnotherapy, Past Life Regression and Future Life Progression, Aromatherapy, Reflexology, Indian Head Massage, Kinesiology and Yoga. All products used during treatments are completely vegan friendly.” ~ We went vegetarian as a family, both us and our two children in 1991, and then we both went vegan in about 2000. We live by the principals of ‘harm no-one’ and this of course includes all creatures. We try to practice what we preach and live a healthy vegan lifestyle. www.psitsvegan.co.uk – Cake making business, based in Colchester Essex. 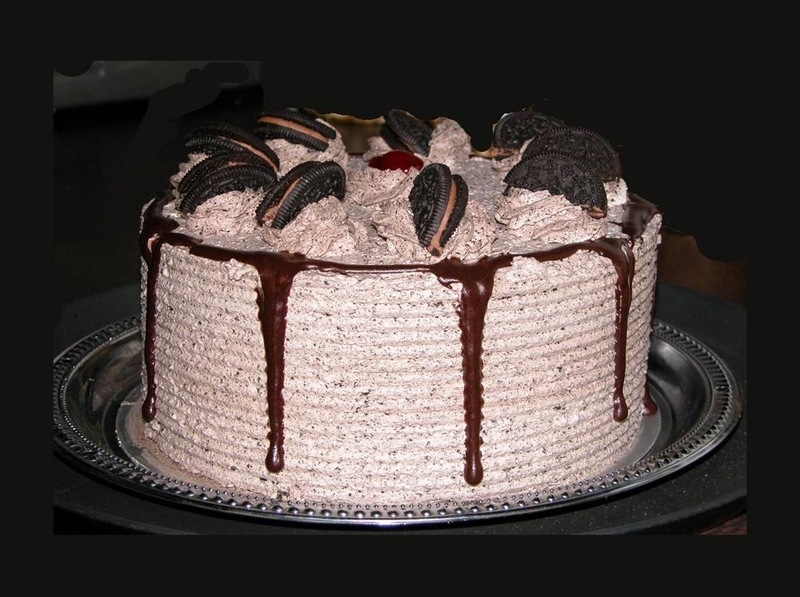 Handmade cakes and cupcakes are made to order in small batches. Cupcakes also supplied to a local cafe in Colchester. ~ Jennifer Dunn set up “ps…it’s vegan!” 3 years ago, and runs it single-handedly from her kitchen. Jennifer has been vegan for the past 10 years, and has been experimenting to find the perfect vegan cake recipes! She also works part time in retail, and always tests new cake flavours out on her co-workers, to make sure they are all “non-vegan approved” as well as vegan approved! Jennifer, 28, is happily married to her husband Rob, who she started dating at the age of 15! “p.s…it’s vegan” was voted into 3rd place in the category of “best vegan cakes” at the UK vegan awards 2012. 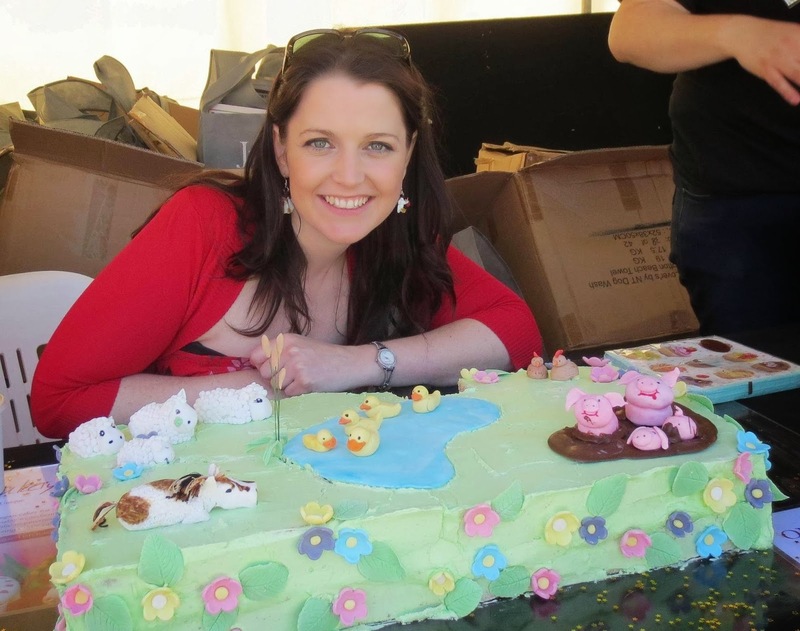 Jennifer has participated twice in the Worldwide vegan bakesale, raising money for Tower Hill Stables Animal Sanctuary, etc. 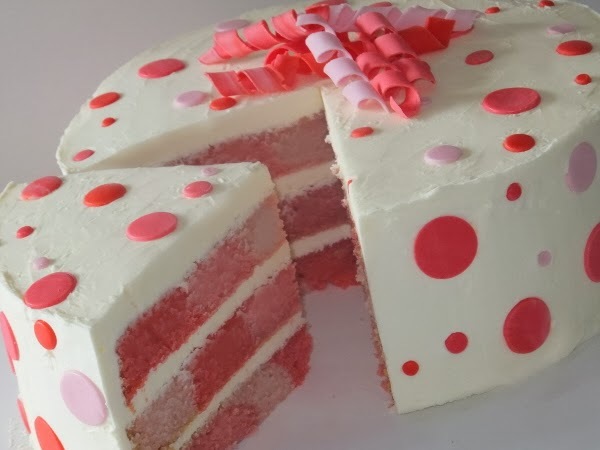 www.vegancakery.com – On Facebook – “The Vegan Cakery is a Vegan Bakery, and was born out of a passion and desire to show vegan diets can be every bit as tasty, if not more so, than a ‘conventional’ diet containing animal products and animal by-products. Our aim is to show vegan treats can be every bit as delectable as any other – something of utmost importance to us, as vegans ourselves. All of our products are produced in a 100% vegan environment, with no trace of animal products or derivatives” shares Michelle Orme. “I was born in and still live in Leicestershire. I became Vegetarian at the age of 15 and vegan eight years ago. I am passionate about animal rights/welfare and run The Vegan Cakery as a way to help animals and educate people as much as possible. We donate from our total take each month to a designated animal charity; this is before all postage costs, tax, insurance, fuel, ingredients etc. Hannah Banana bakery – “is an all vegan bakery in Southampton, UK. Since opening in July 2011, it has since gone on to win the “best cake” award at the UK vegan awards 2012 and 2013 as well as the PETA “great vegan bake off” 2013 and the Flexitarians “Feast your eyes on vegan” 2013 recipe competition. 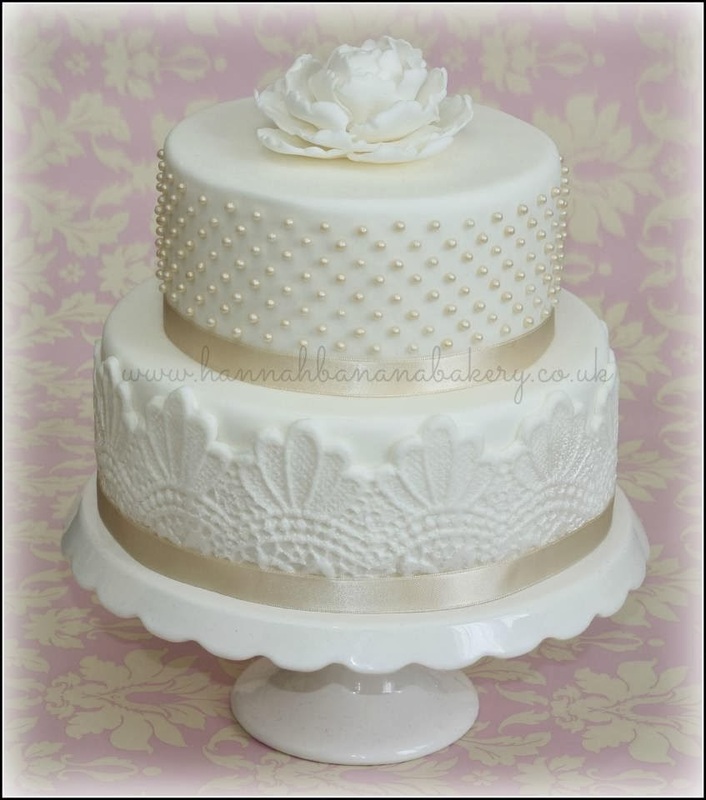 Whether its simple cupcakes or tiered elaborate wedding cakes, Hannah Banana bakery is the place to go!” shares Hannah. www.yogawithginny.co.uk – I provide yoga classes at my local hall, outdoors as the weather allows in the lovely garden with the birds and bats flying free overhead, grass, flowers and trees all around. I have been vegan for 32 years for ethical reasons related to abhorrence of animal cruelty and the environmental impact of a diet based on consumption of meat and dairy. I started practising yoga in 1995 and teaching yoga in 2010. I hope that by bringing people to a better understanding of their bodies and minds they will also find their way to recognising the importance of considering all other living beings and begin the steps towards veganism.” Shares Ginny. www.ivegan.it – Vegan Shop: cruelty free food. Address: via Ascanio Fenizi 39, 00149 – Roma, Italy. email: ivegan@ivegan.it – The biggest Vegan Shop in Italy. iVegan started in 2008, in Rome with 30 products and 1 manufacturer. Now: over 2000 vegan products around the world. We send vegan food within Italy in 24 hours. 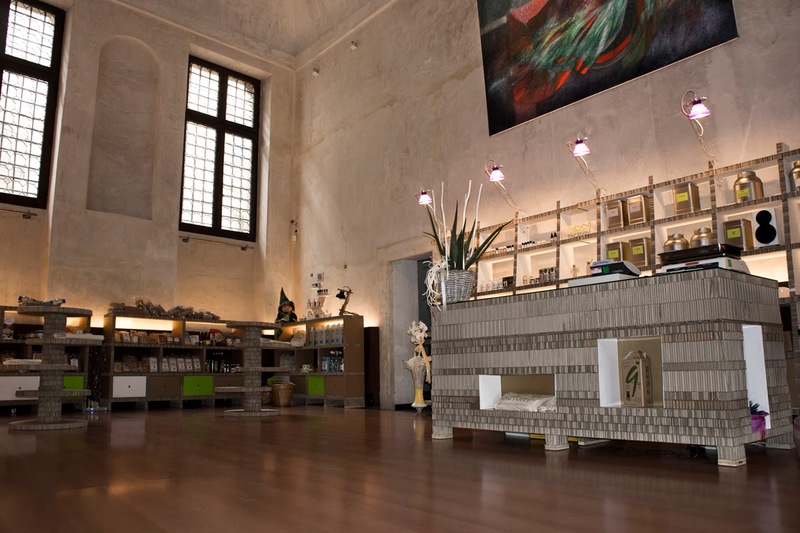 www.veganfactory.it – Facebook page: http://www.facebook.com/veganfactory – Vegan Factory- Vegan Factory is an herbalist’s vegan shop located in the city center of Vicenza, Italy – in scenic sixteenth-century historical palace. You can find herbalist products, natural cosmetic, bio foods and for intolerant. The products are attentively selected for guarantee to the client the origin and the highest quality. Vegan Factory loves the animals: the products are Vegan-Cruelty free, respects the environment: furnishings are eco- sustainable, believes in the quality: it gets to know the small producers, and sustains and promotes the art: events, exhibition space and exhibition ~ E-Mail: info@veganfactory.it – shares Cristina Napoleone. 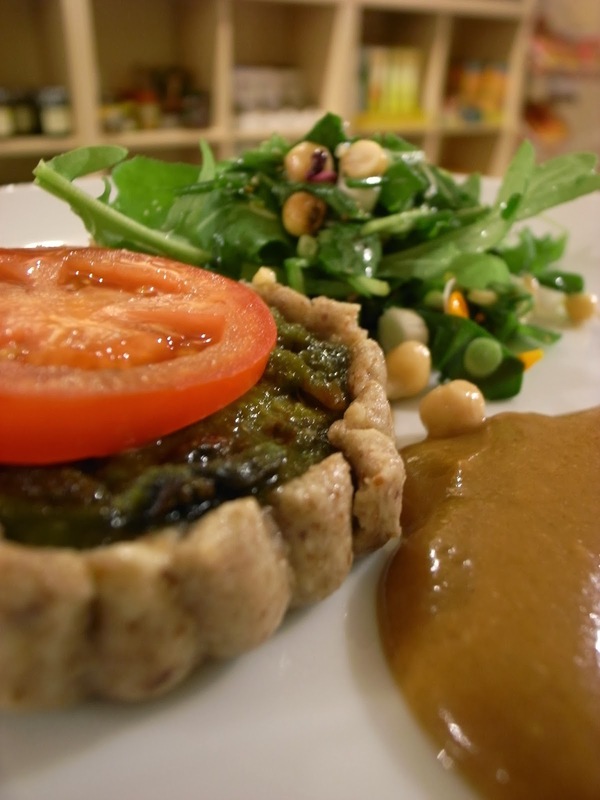 www.helveg.ch – A new vegan restaurant and boutique in Geneva Switzerland – cafe, organic vegan restaurant with some raw food. Helveg Cafe is a vegan gourmet restaurant that offers an ethical and holistic approach, by fulfilling the need and satisfying the sensitivity of each individual. 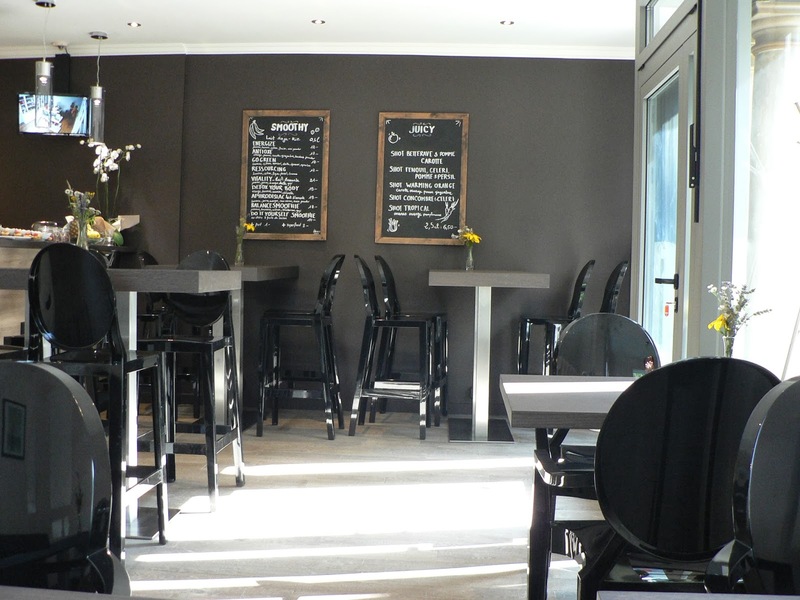 Helveg Cafe is a place to meet over a smoothie or juice and to gather around an organic meal. The business owner is a “lover of tastes and flavors, passionate about innovation and creativity, sensitive to be conscious / respectful of life in all its forms”. www.plentysweetenough.com/ – Online Vegan T-Shirt Boutique – I have recently started a new business printing and designing vegan and animal rights t-shirts. Plenty Sweet Enough Productions is a vegan, family run business that designs, prints, and sells vegan and animal rights T-shirts through their online store. The T-shirt designs are focused on compassionate and positive messaging. They also provide custom apparel printing to organizations and businesses. Clothing is sourced from ethical producers, fair trade and produced in sweat-shop-free environments” says Lee Aiken; a vegan mom, bookworm, and social butterfly. She is a lover of all species, including people. 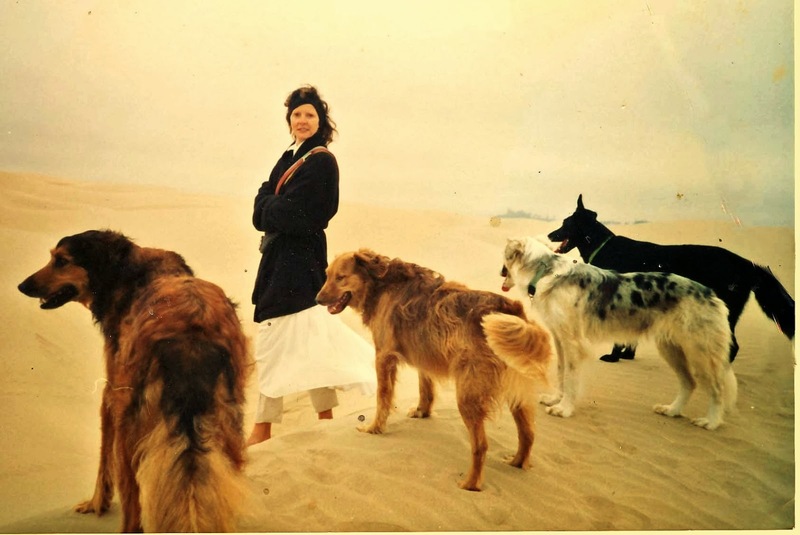 She derives a deep sense of joy from advocating on behalf of animals and participating with local grassroots animal rights groups in her community. She is a co-organizer of the Toronto March to Close Down All Slaughterhouses, and a member of Toronto Pig Save and the Burlington Animal Liberation Movement. One of her favourite quotes and an idea that keeps her moving is – “Action is the antidote to despair” – Joan Baez. www.veggieparadise.com – vegan and gluten-free food manufacturer – Veggie Paradise is about helping people discover the Paradise within a vegan diet. We manufacture fresh vegan/gluten-free Meals-2-Go for the downtown Toronto vegan scene and also manufacture a frozen line of vegan comfort food (delicious ‘chickenless’ pot pies, etc. ), an incredible line of Meatless Stir-frys. Veggie Paradise began as a small little hobby of Lucy and Kathy, sisters who wanted to help spread the benefits of a vegan lifestyle, and has quickly grown to become one of Canada’s leading Vegan food oriented businesses. They intend to continue to bring delicious vegan meals to people across Canada and eventually share their vision of Paradise with the world. ~ Owners have all followed a vegan lifestyle for over 20 years! Richard, Lucy’s son, recently joined the Veggie Paradise team after enough disappointing meals working downtown in finance and believes in making Veganism something accessible for everyone, everywhere. www.vegancakes.com.br – Vegan Cakes is a grocery store specializing in vegan sweets; created in May 2011 by Cristina Maejima. 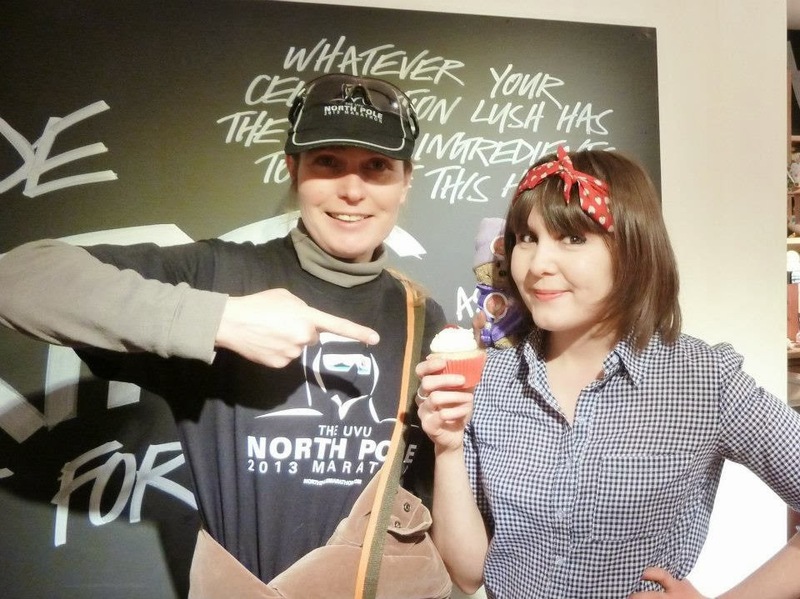 She always dreamed of uniting a passion for veganism with creating candy. All products, cupcakes, cakes, sweets, cake pops, savory, well-married and brownies are made with no animal ingredients. 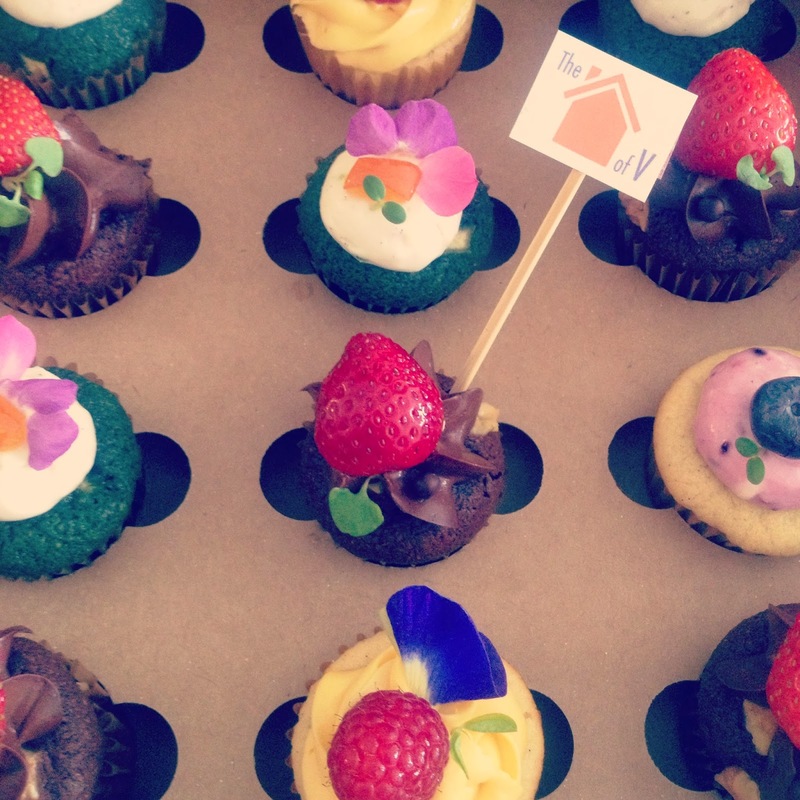 “The Vegan Cakes works for now, online and only to the city of São Paulo. We accept orders for birthdays, weddings, events or simply to kill the urge to eat a cake in the afternoon” says Cris Maejima. www.facebook.com/veganbites – Vegan Bites – Vegan Meal Service and Catering – Ph. +91 76665 8643 – “Vegan Bites is dedicated to serving you Whole, Fresh, Plant-Based Meals. Our team of chefs, nutrition experts and doctors work together to ensure that your meal is not just healthy, but also tasty and varied. Food will be cooked with techniques to preserve the maximum nutrition. Meals are hygienically prepared and packed in our ultra-modern health kitchen and delivered across Mumbai to you at your door step by the Mumbai’s famous Dabbawalas. (Please visit our kitchen to see for yourself). The catering menu comprises of our wide range of Indian and International dishes” explains vegan business owner; Samir Pasad. www.unived.in – Unived is a healthcare company based in Mumbai. We manufacture nutraceuticals and dietary supplements that are 100% natural and 100% vegan. We are the first nutraceutical company in India to be registered by the Vegan Society – UK. We don’t use any preservatives or synthetic ingredients. We are pioneers in India with Vegan Omega-3 DHA from micro-algae, natural fermented CoQ10, and a range of natural health teas, vegan and organic soaps, amongst other unique highly nutritional products. 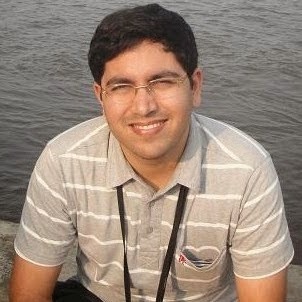 ~ Unived was founded by Mr. Amit Mehta. Amit is born and brought up in Mumbai. Amit was born in a vegetarian family and had his first course of meat when he was 16. He ate meat for a few years but turned back vegetarian purely for health reasons. 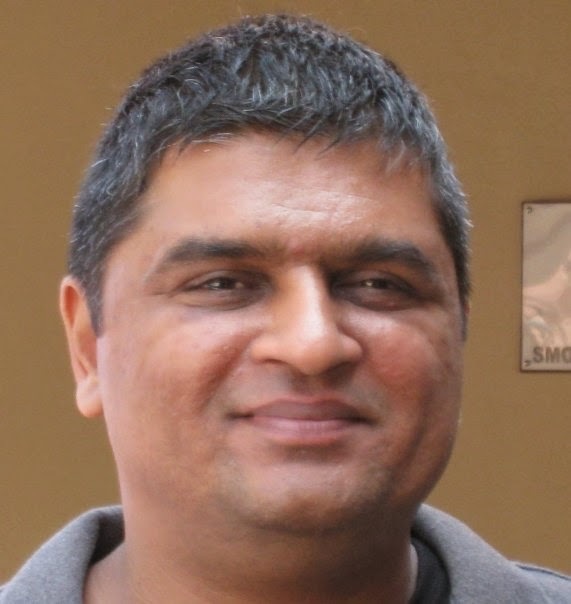 When Amit moved to Australia in 2005 he was exposed to Veganism. Thereafter he started reading about the benefits of giving up dairy and started understanding the implications of the same on a person’s health and the impact on this World. Upon further reading and research he was exposed to the shocking cruelty to animals at poultry farms and dairy units. 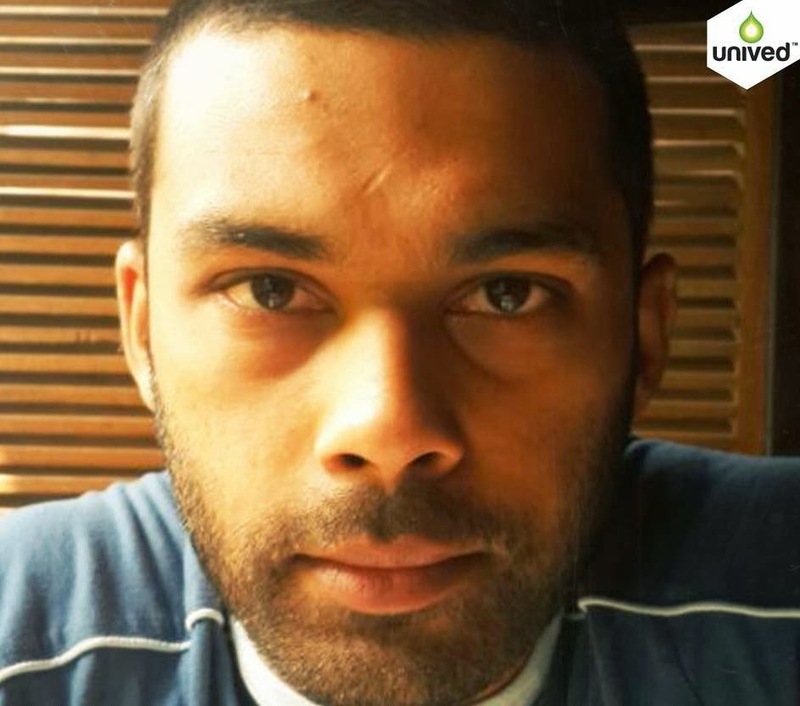 While this did trigger various unexplainable emotions within, it showed him the path – there was a cause for concern and Unived was Amit’s own way of addressing this concern. Unived was founded in August 2010. It has been extremely difficult to develop nutraceuticals that are meant for serious health concerns, while keeping them 100% natural and Vegan, but compromise is a word that doesn’t exist in our dictionary and we have turned breakdowns into breakthroughs to reach where we are today. www.tatamoo.co.za – Vegan, gluten-free, soy-free nut cheeses – At Tatamoo we are committed to gourmet vegan living. Most of our delicious products are raw, and all are made using macadamia and cashew nuts. We offer aged macadamia and cashew nut cheeses as well as cream cheeses, Tatanaise (raw veganaise) and Melts. We are based in Cape Town but courier orders nationwide. 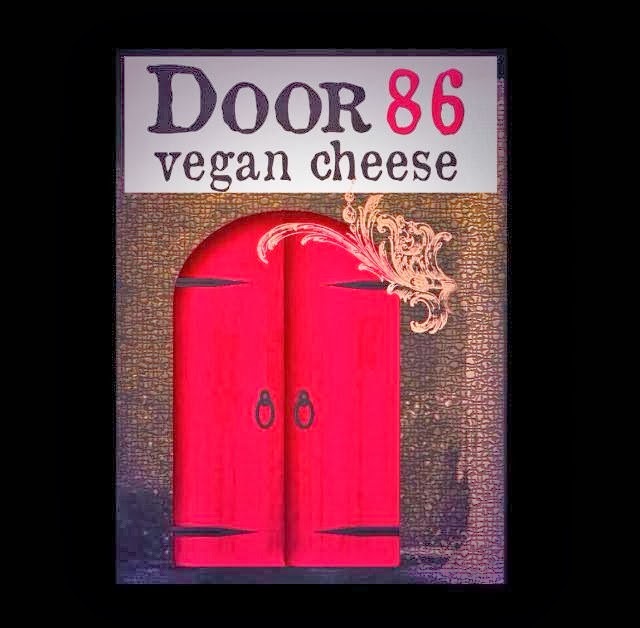 We are committed to making the world a more compassionate, vegan place one cheese at a time! ~ Hayden Lubbe became vegan several years ago and hasn’t looked back since. 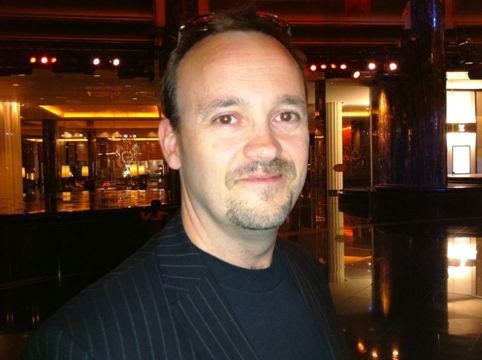 Having worked in the hospitality industry for years, Hayden wished to realise a vision of gourmet, compassionate food. When Henni van der Westhuizen approached him to carry forth the vision encompassed by Tatamoo, he was thrilled. Hayden is expanding the business slowly and hopes to increase availability, significantly – by 2015” says Shanelle Lubbe. www.facebook.com/bellavegandiner – Bella Vegan – Vegan cafe opened Feb 2013. Offers an international menu, gluten-free options, and daily specials. Casual and child-friendly atmosphere and has wi-fi. Price: Inexpensive. 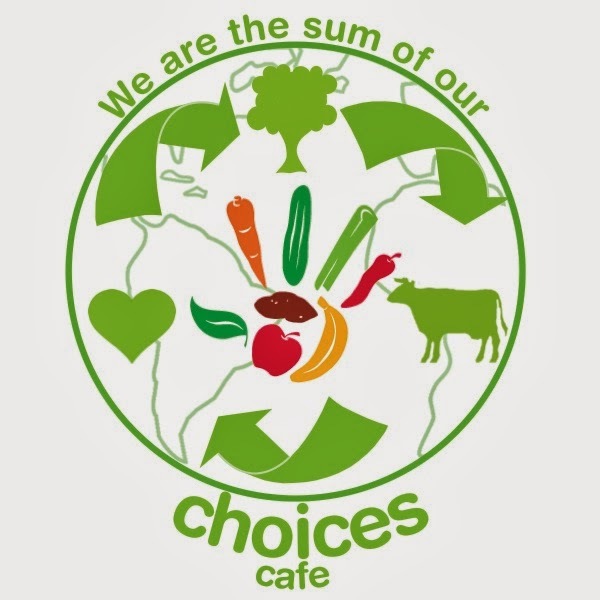 Vegan, Western, International, Juice bar, Catering, Take-Out – 42 Palmer Road, Muizenberg, Cape Town – Western Cape, South Africa 7800 – ph. 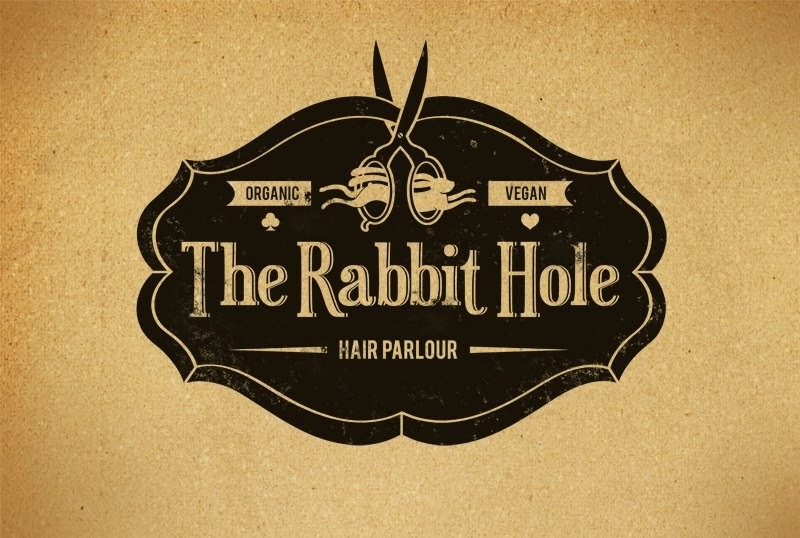 0844777686 – A kind food and craft café that is worker-owned and operated, honouring the lives of all sentient beings, by offering cruelty-free foods and beverages. www.facebook.com/sweetempathycrueltyfree – Sweet Empathy – sells vegan desserts such as chocolate pies, vegan cupcakes, in Coimbra, Portugal. “Sweet Empathy’s desserts are not just desserts. They mostly share a message of empathy and compassion towards all animals. They intend to debunk myths and general misconceptions, and attempt to captivate everyone. Our quality commitment primes animals’ well-being, people’s health and the reduction of our ecological footprint. We designed this concept thinking about conscious consumers that believe they can make a difference with their own choices. We conceived ethical, healthy and ecological treats as we really believe we are what we eat. We use vegan, fresh, biologic and non-GMO ingredients and we have the option of not using sugar, (we use organic non-refined sugar), according to people’s preferences and needs. We specially like to provide pleasant moments, with delicious cruelty-free desserts.” shares owner; Rita Cunha Moreira. www.facebook.com/riseclanworld – RISE CLAN – “is a D.I.Y family-owned and operated business founded in 2008 in Portugal. It started as a vegan and sweatshop-free company but all the new collections are printed on organic cotton, fair-trade and climate neutral clothing. Time is passing by but RISE CLAN ideals didn’t change, they keep growing strong. We are here with the same attitude and the same willingness to make a difference in the world. RISE CLAN is much more than a clothing brand, it’s a weapon against the lies. 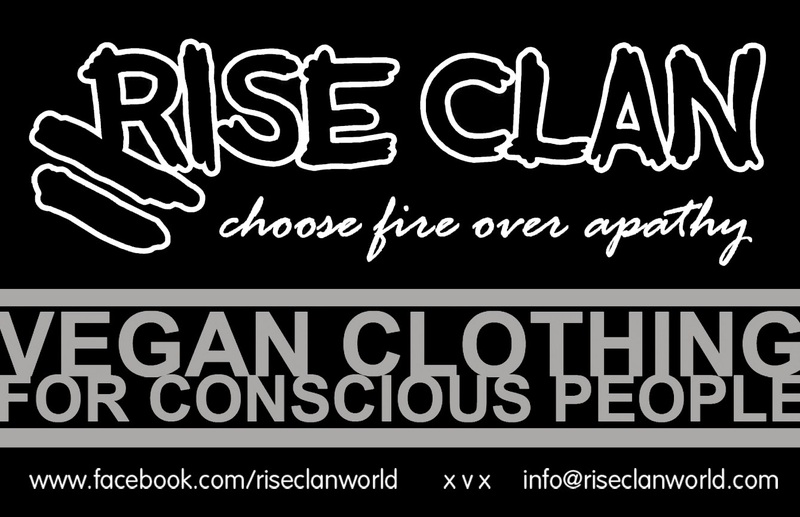 We don’t use fur, leather, wool, silk or any other animal products and/or byproducts in the making of RISE CLAN items. We’re a proud VEGAN, FAIRTRADE, BIO and CLIMATE NEUTRAL Company. Stay True! Stay Vegan!” says Miguel.